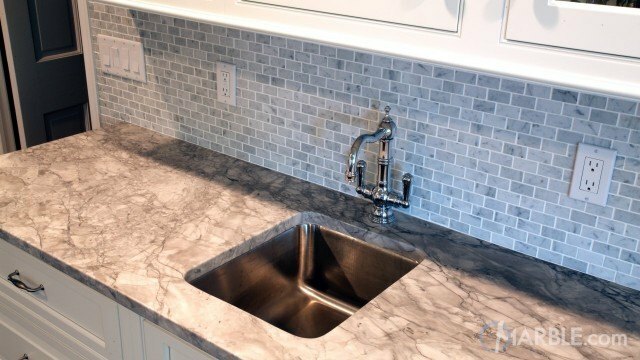 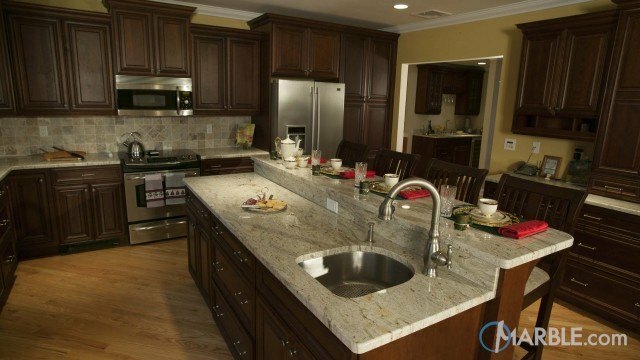 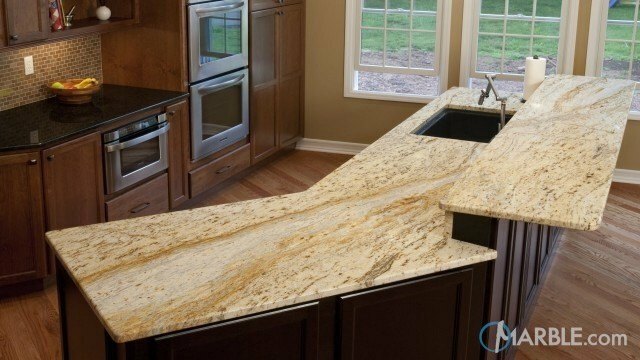 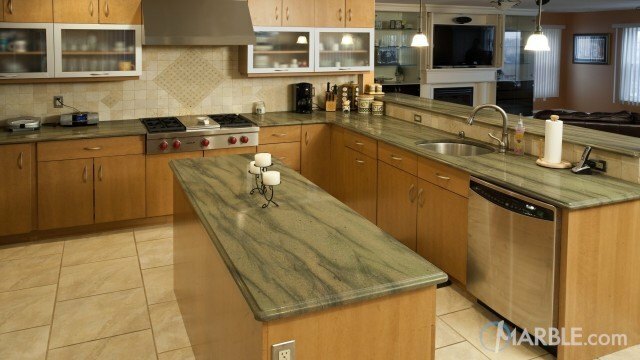 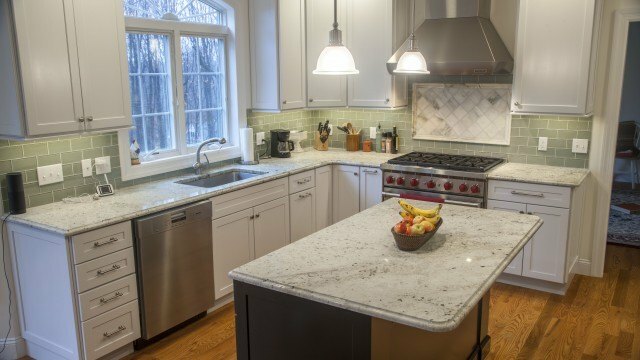 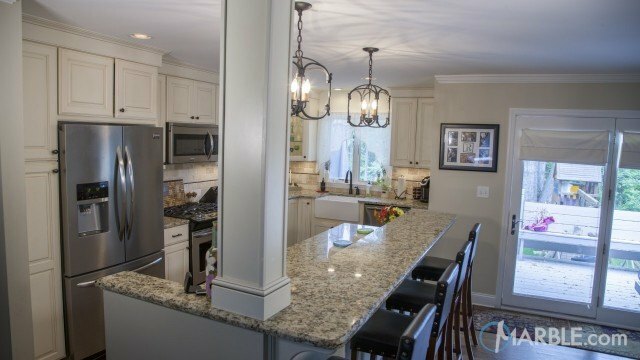 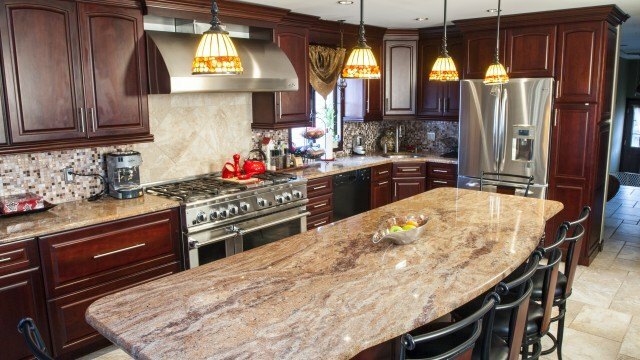 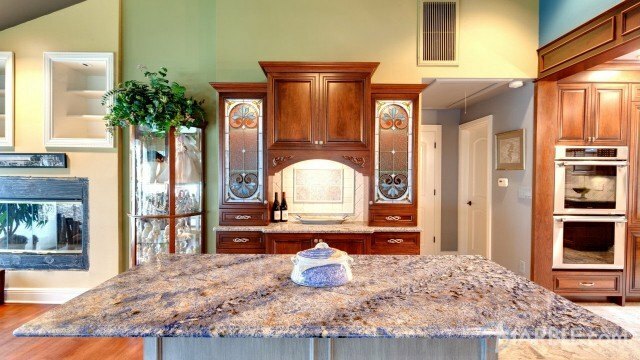 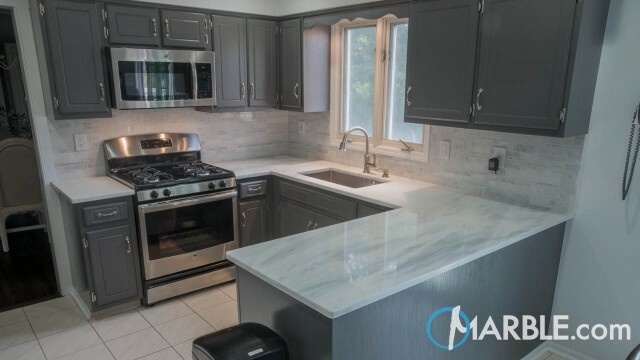 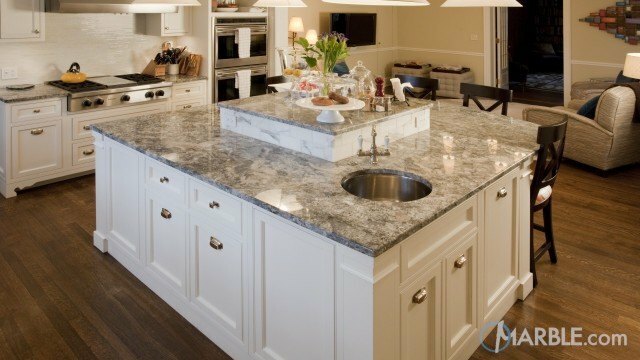 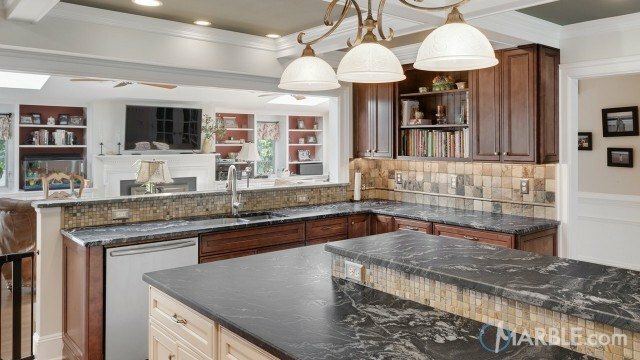 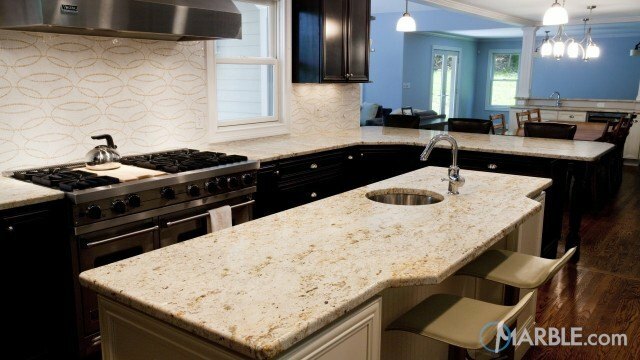 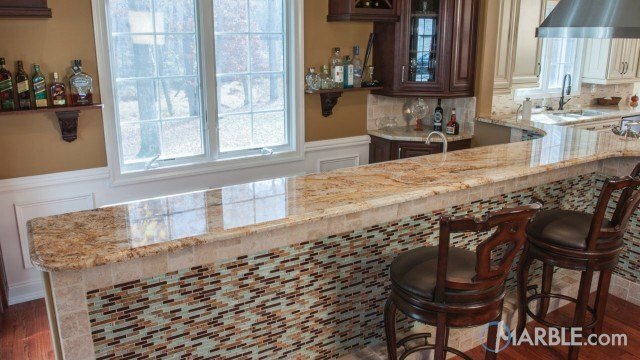 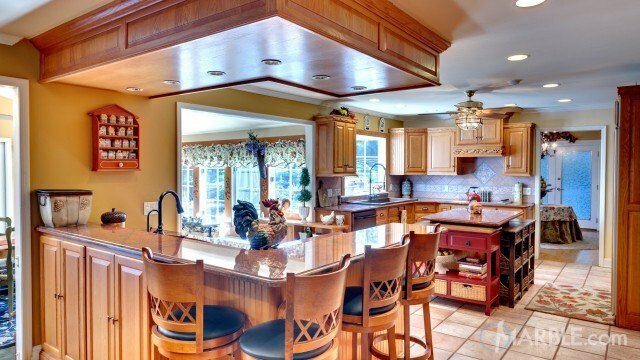 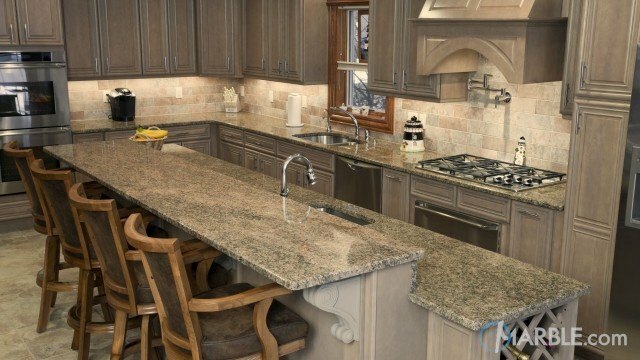 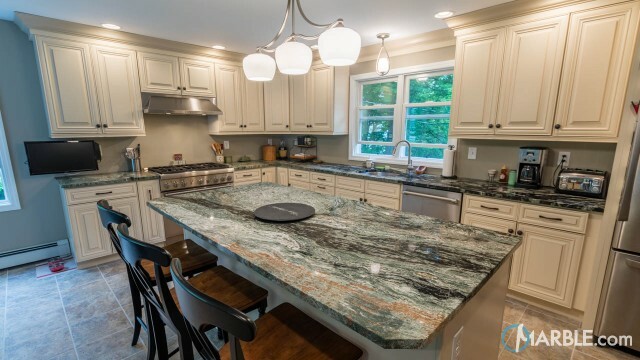 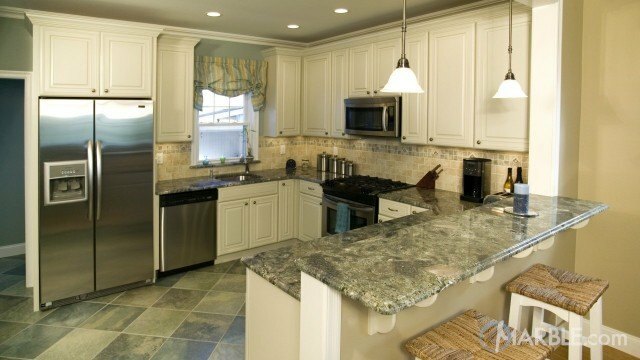 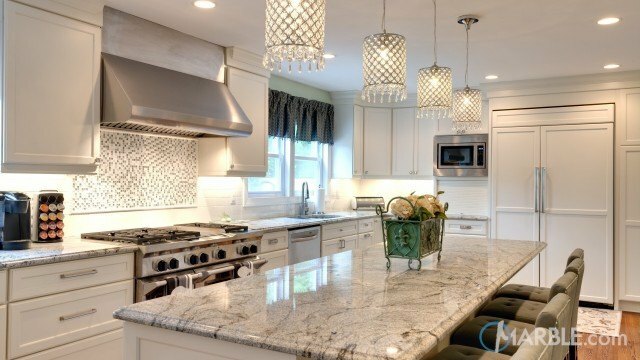 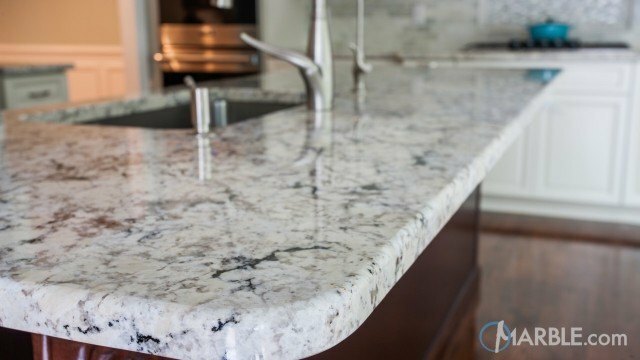 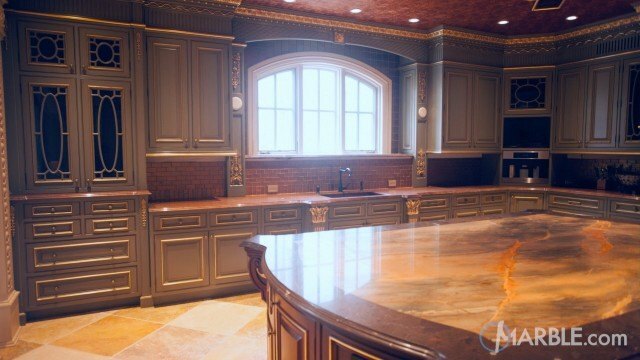 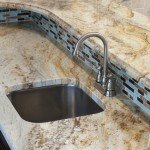 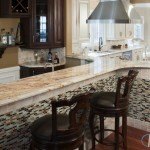 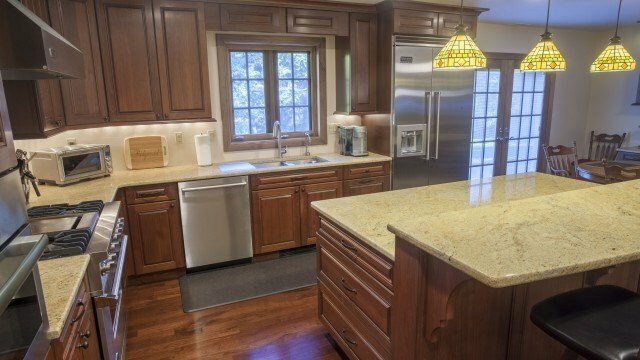 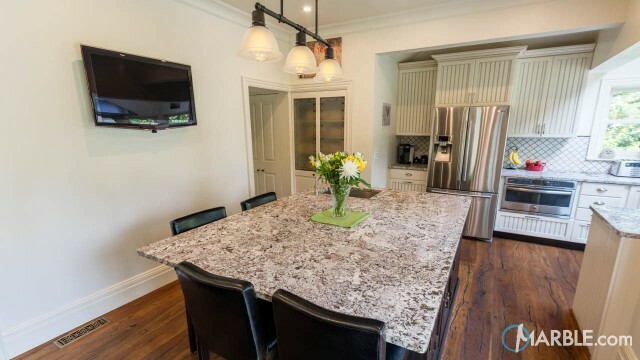 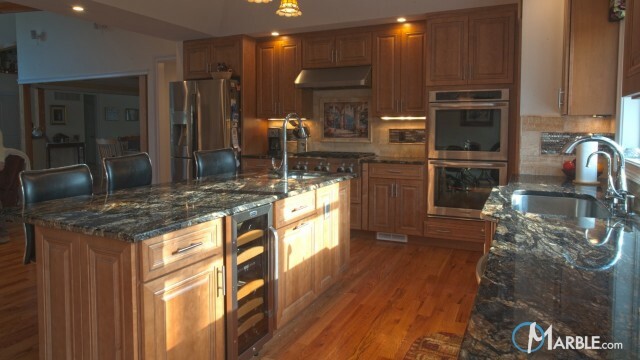 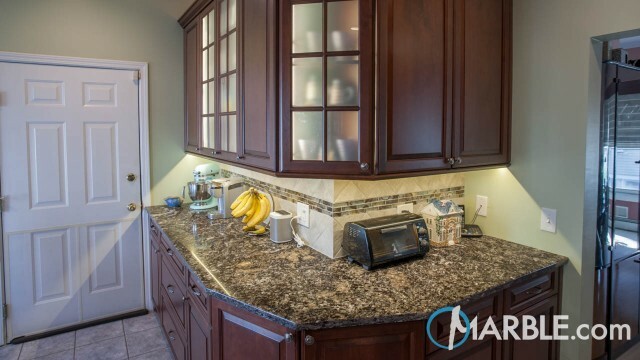 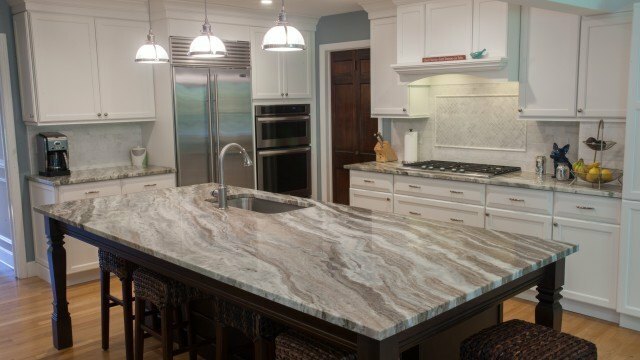 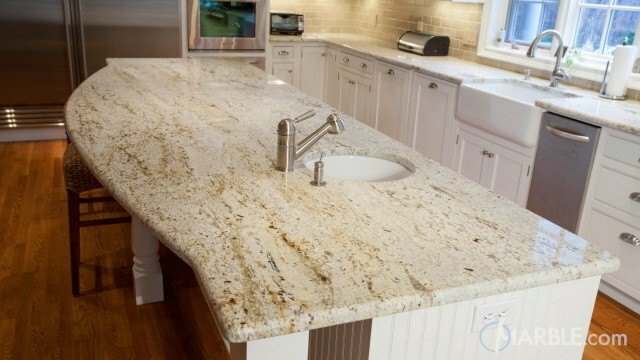 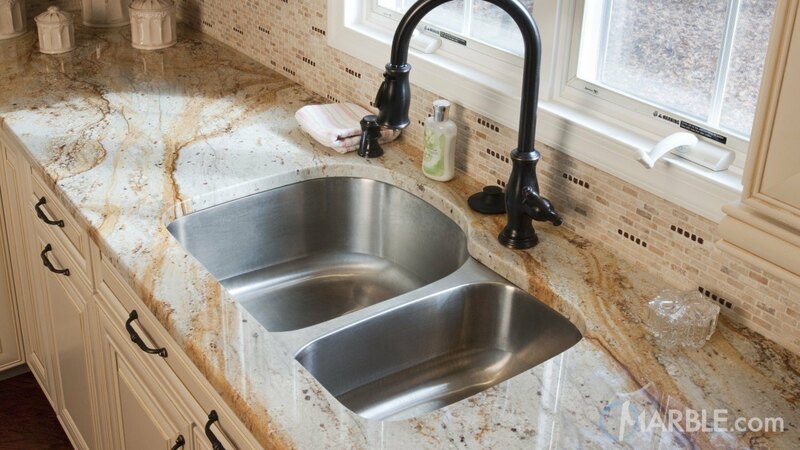 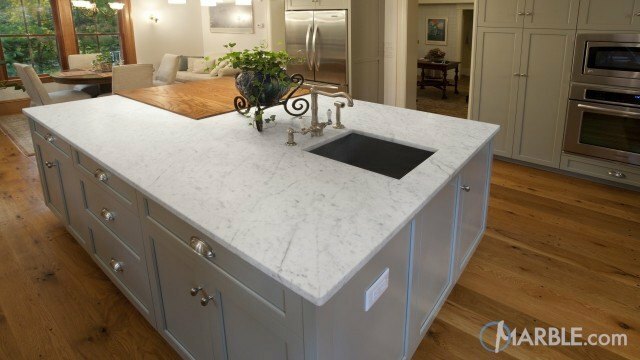 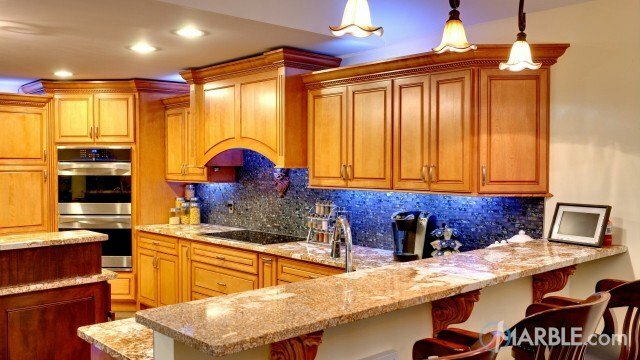 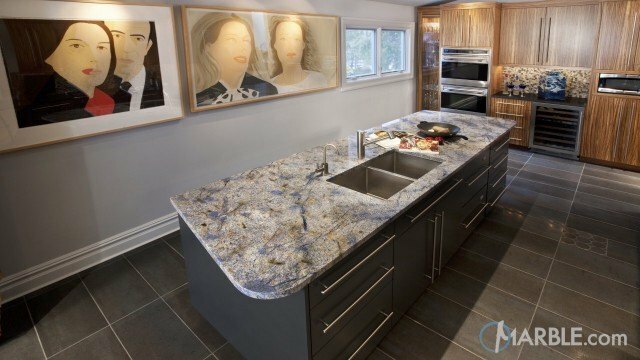 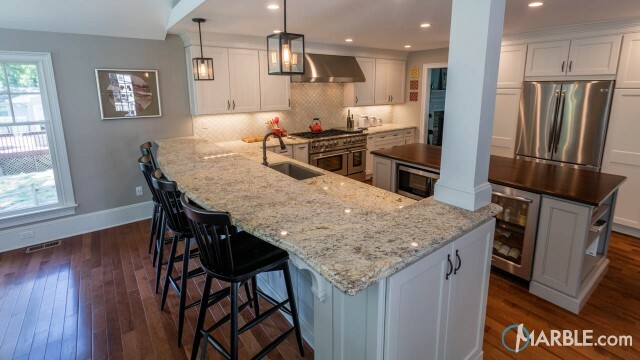 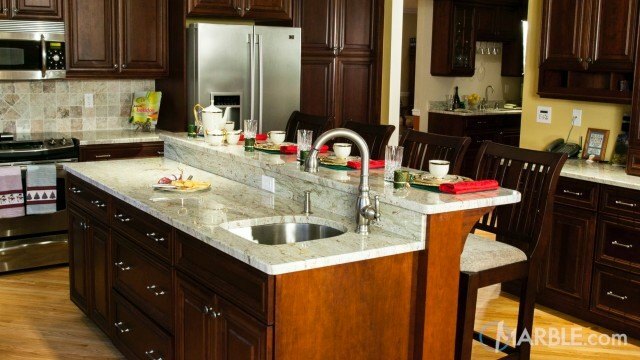 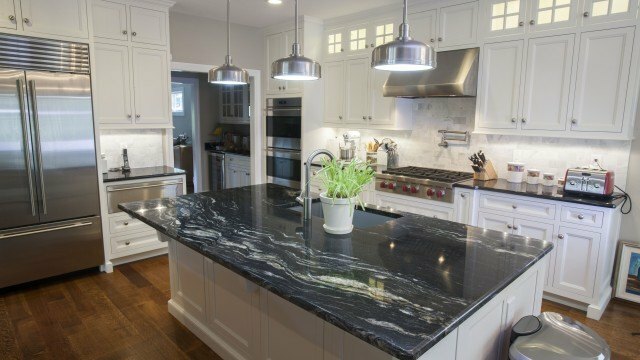 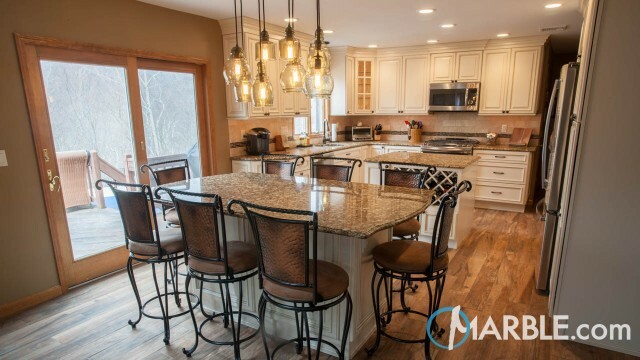 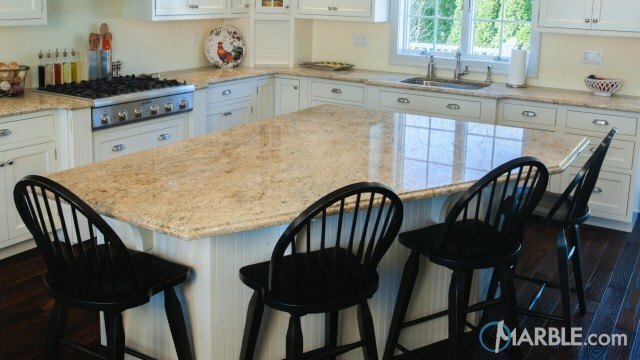 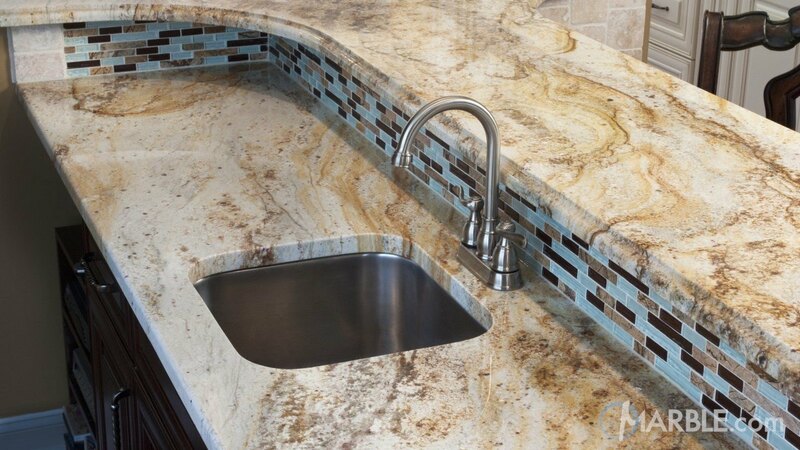 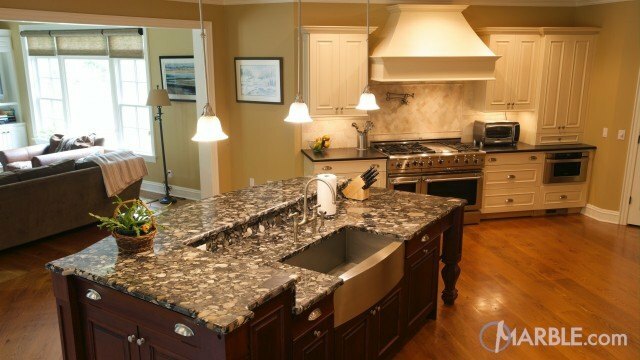 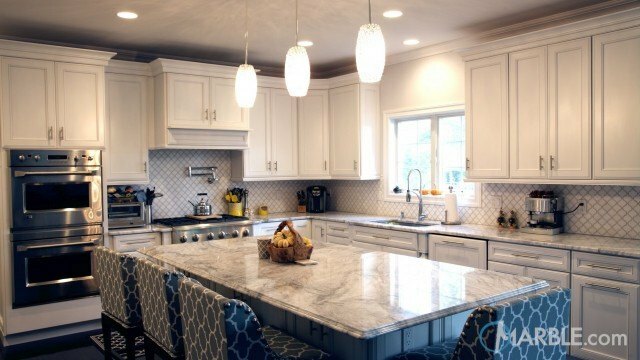 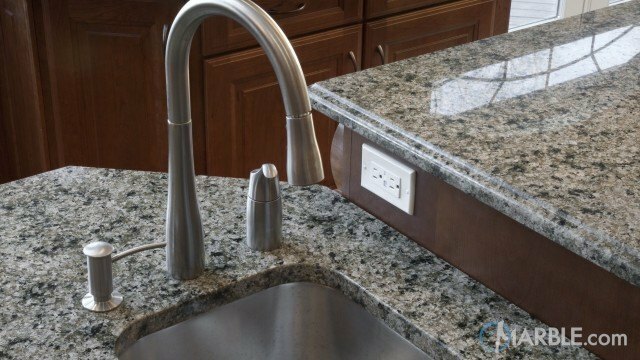 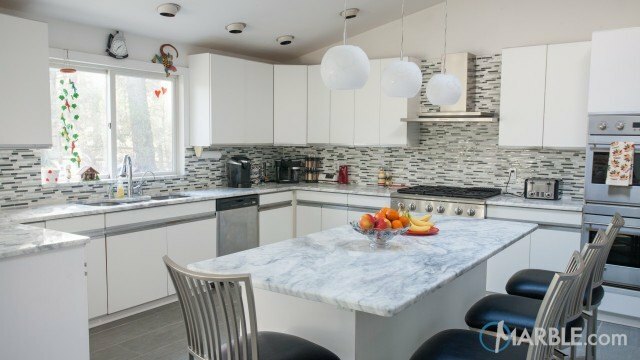 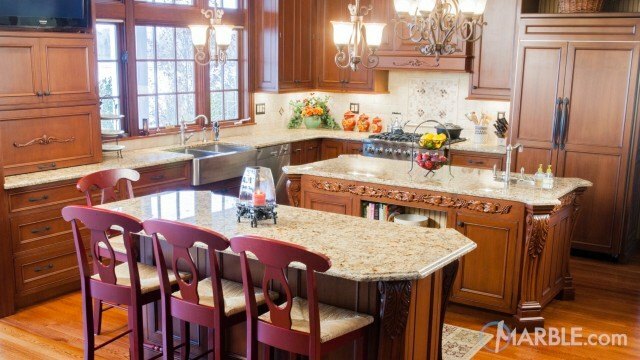 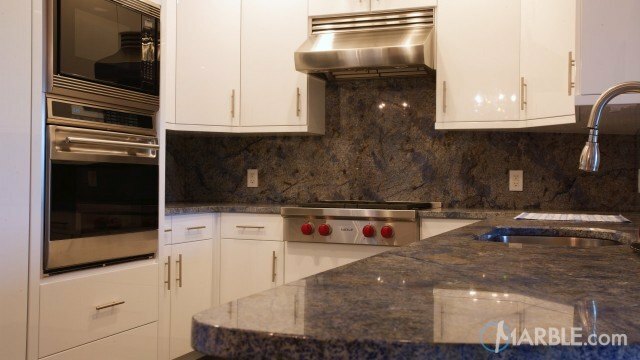 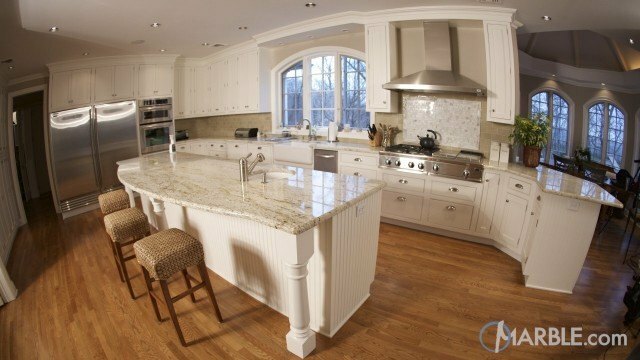 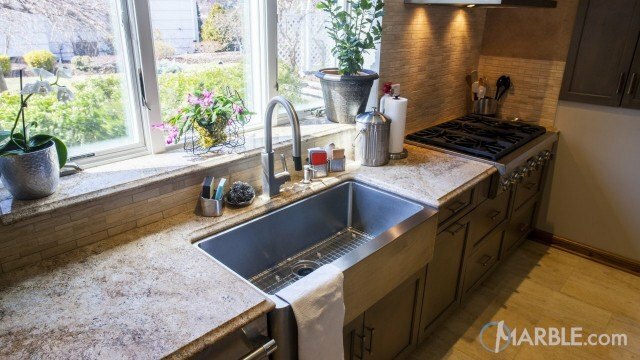 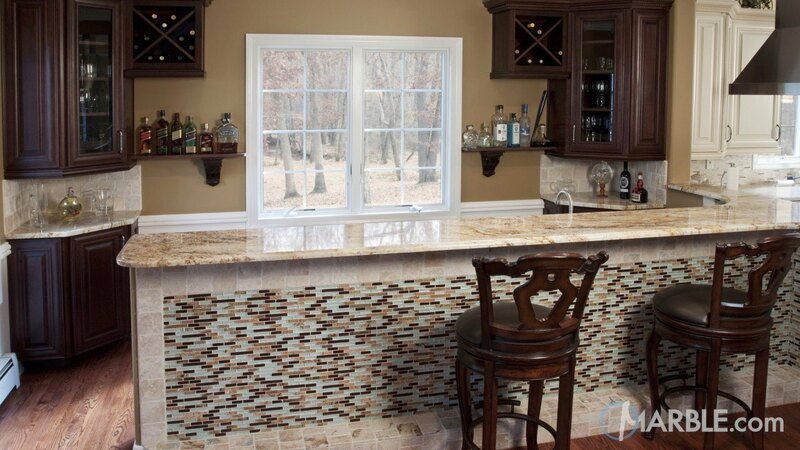 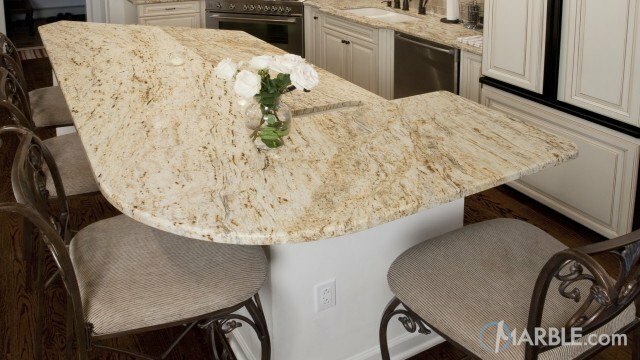 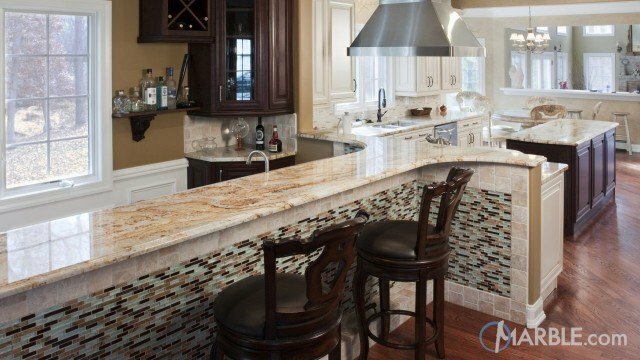 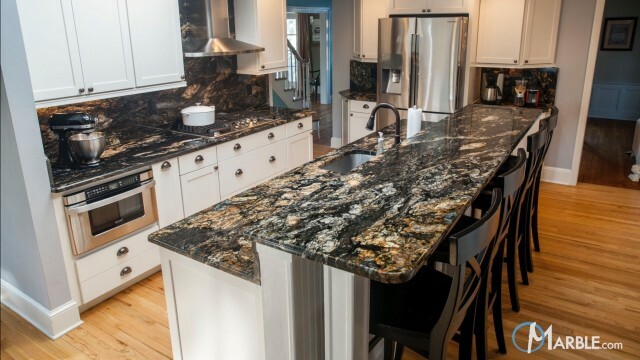 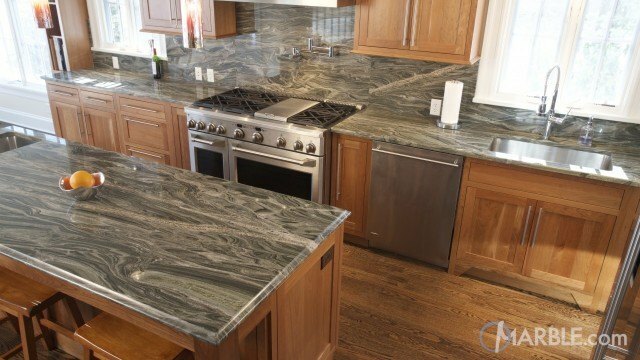 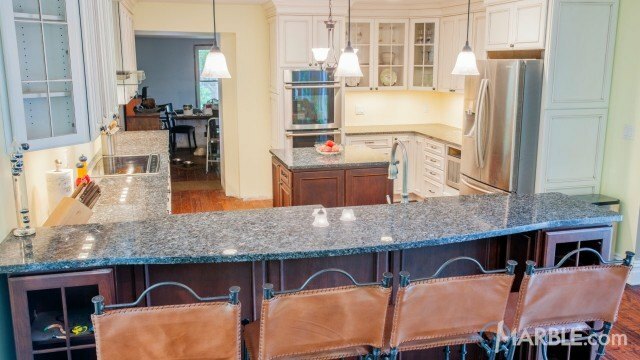 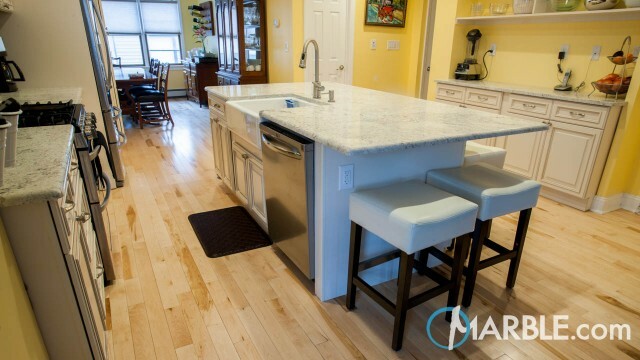 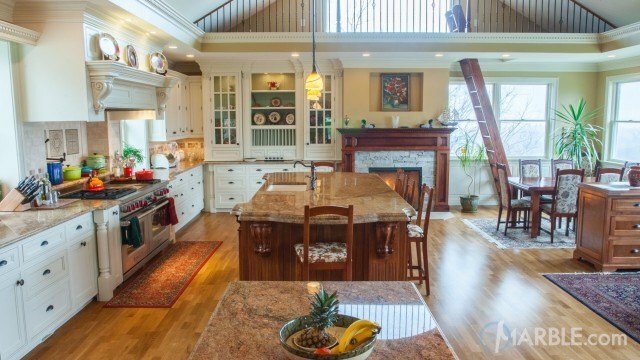 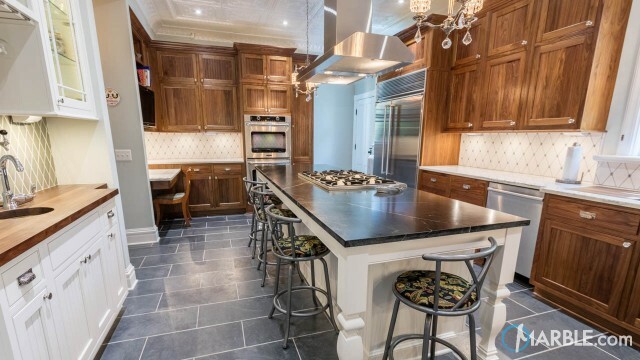 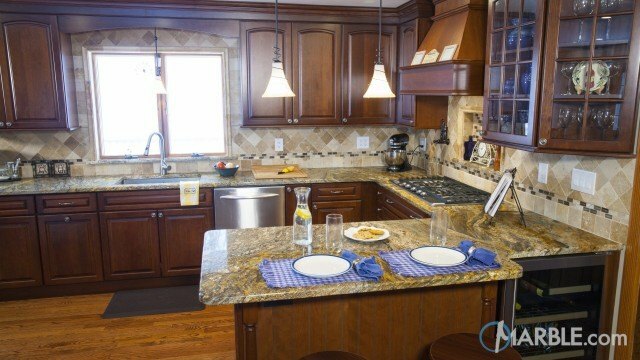 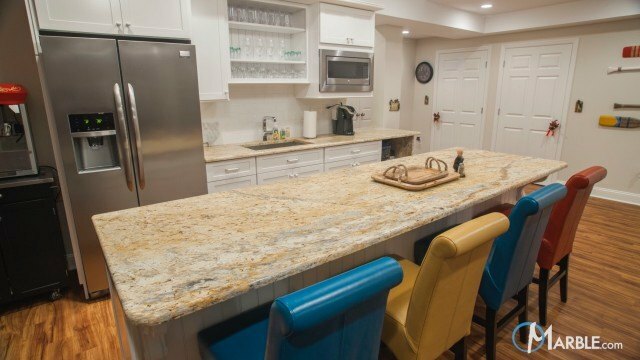 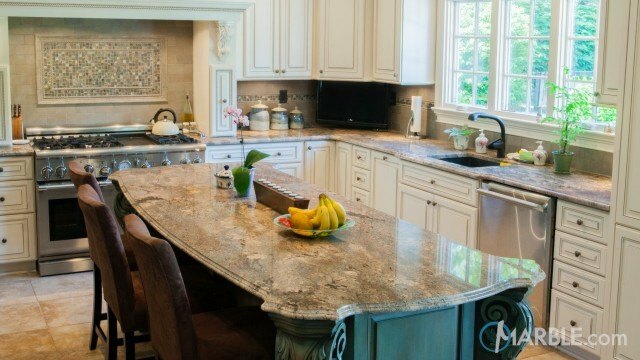 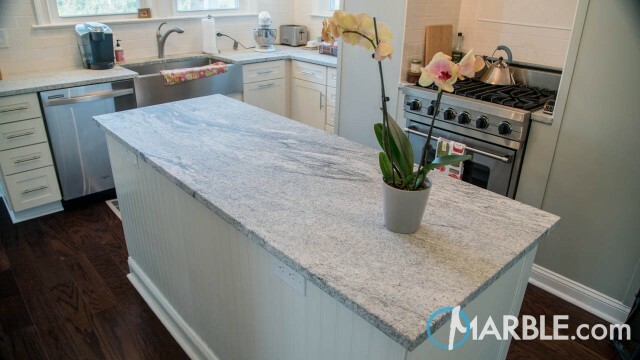 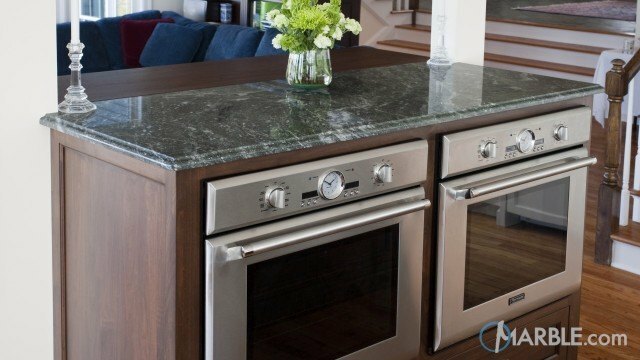 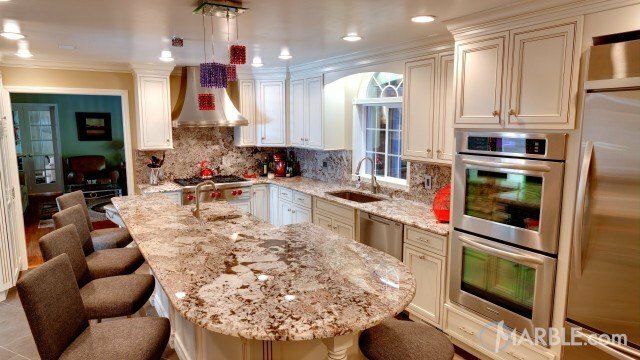 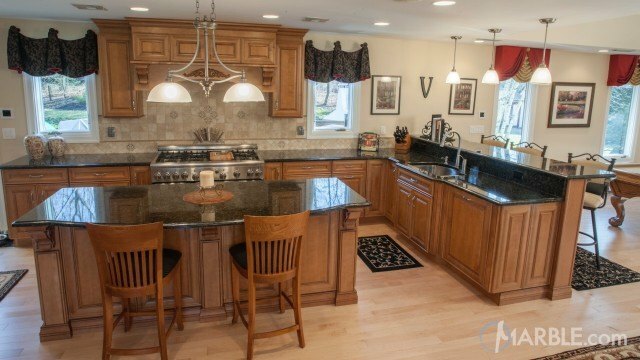 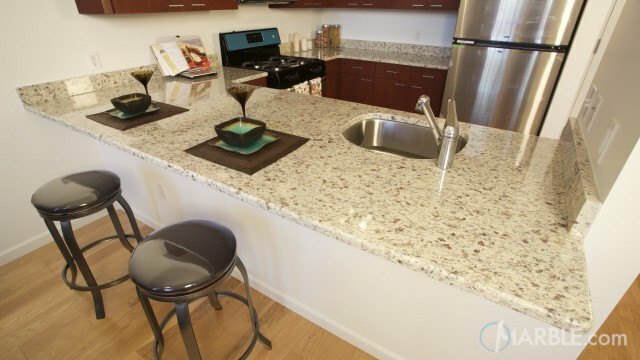 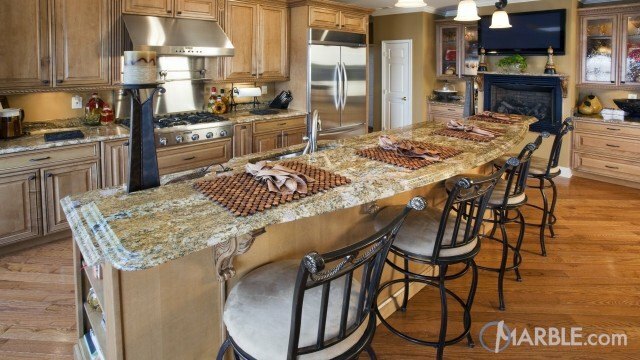 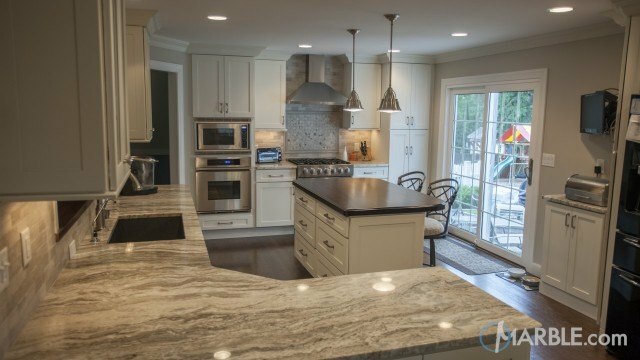 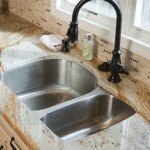 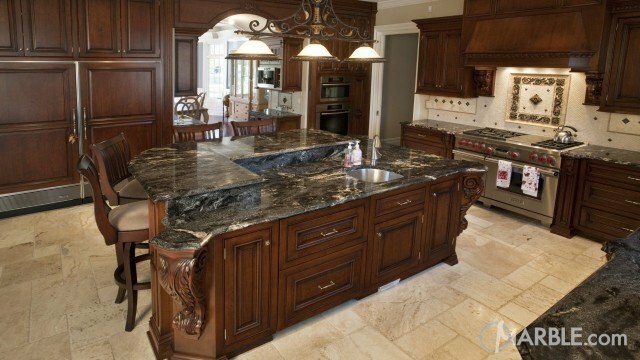 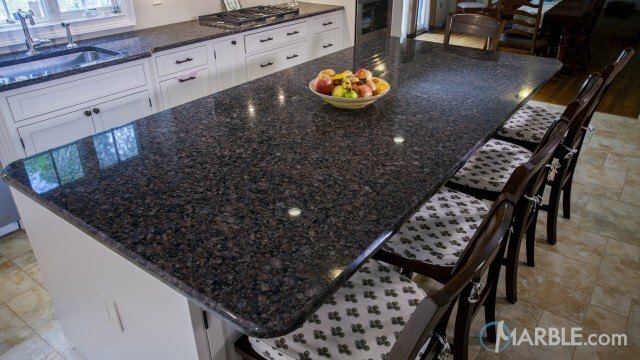 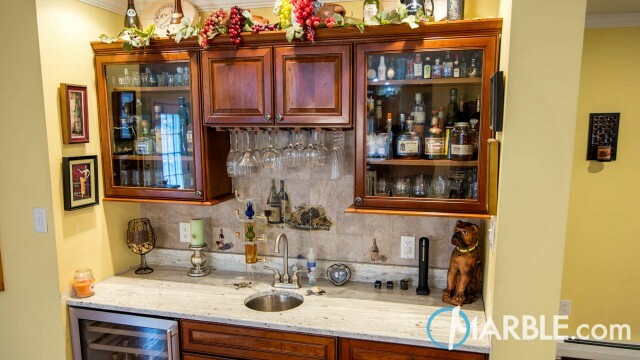 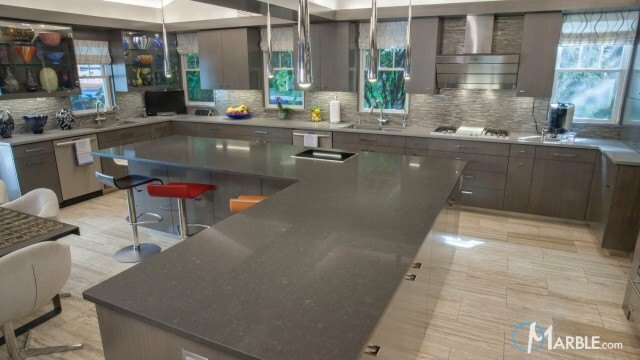 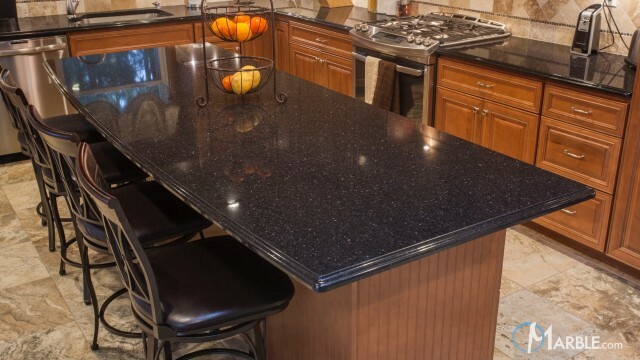 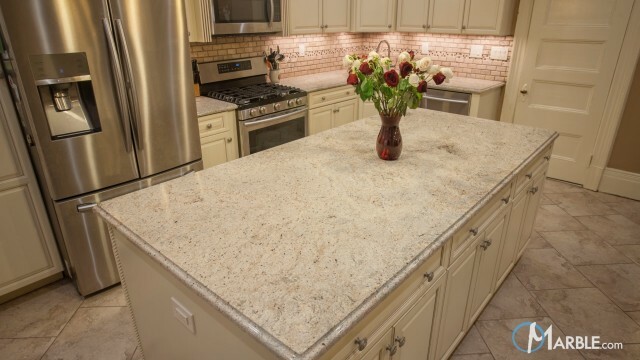 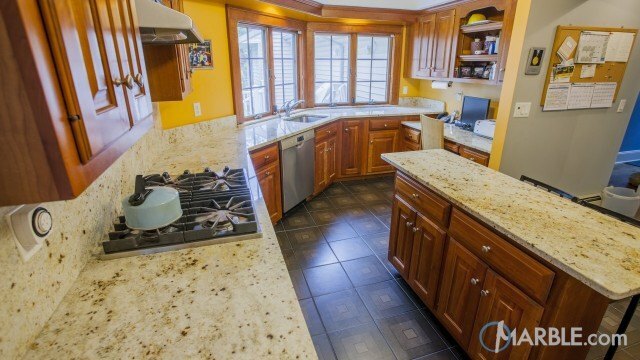 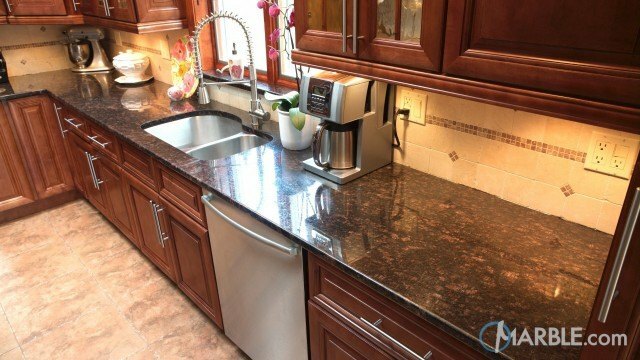 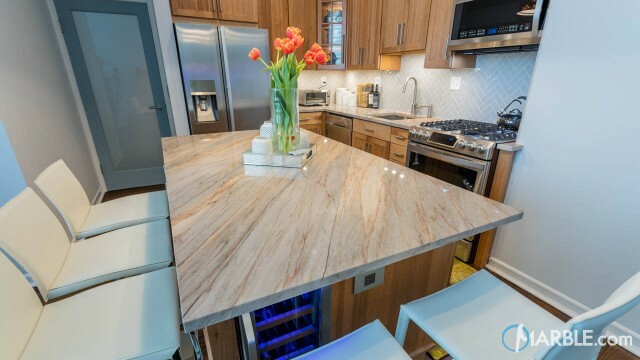 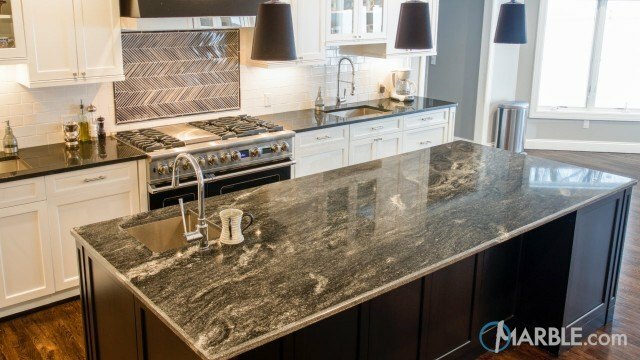 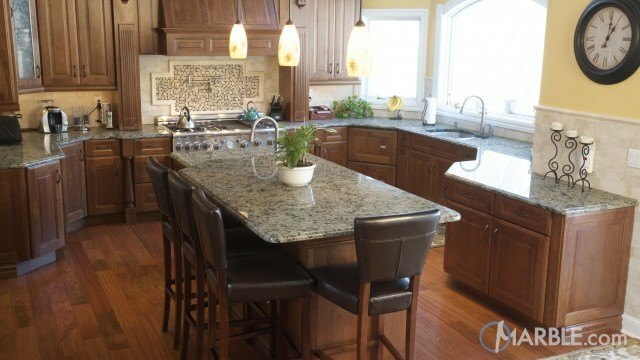 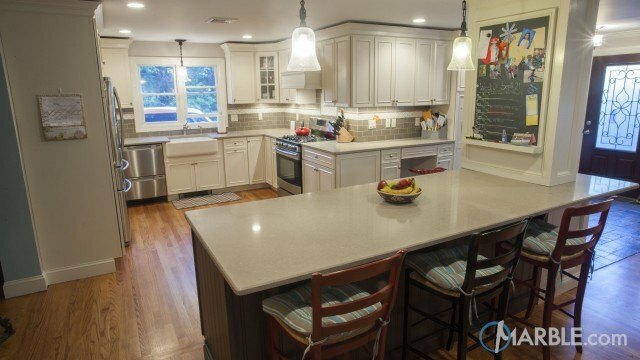 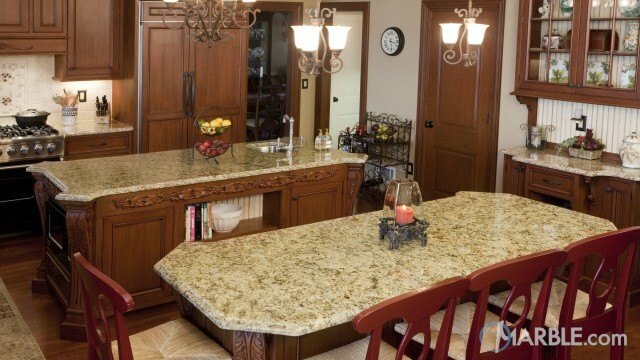 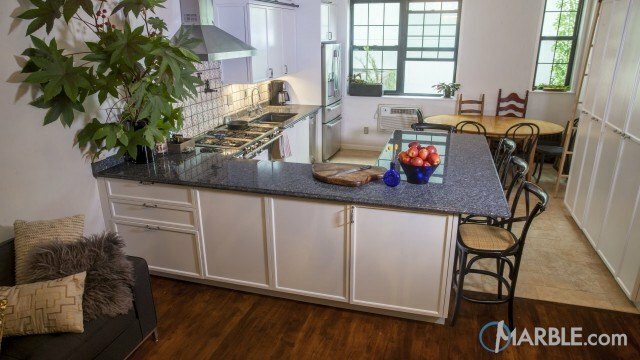 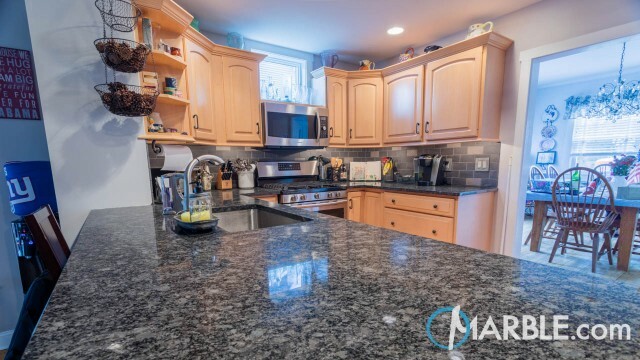 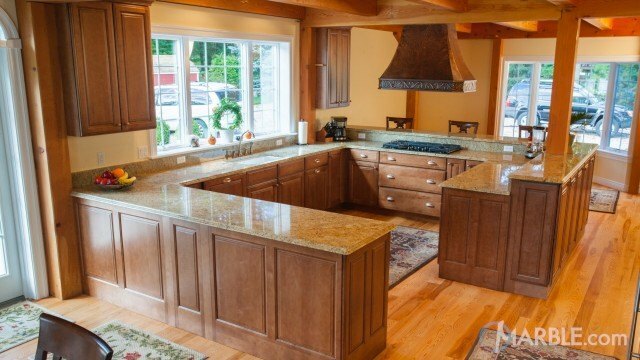 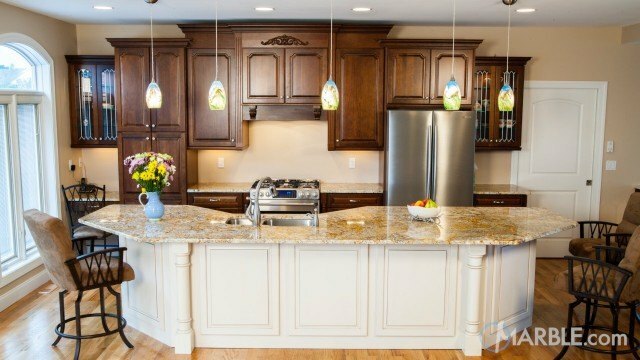 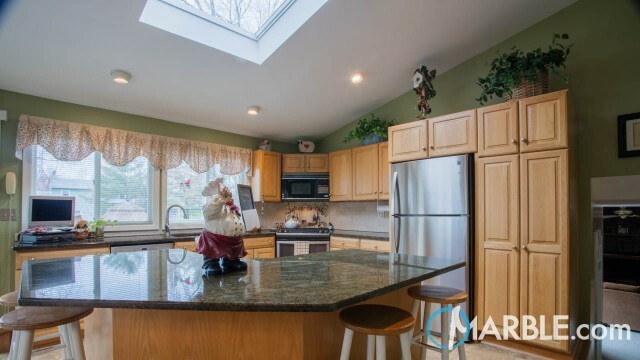 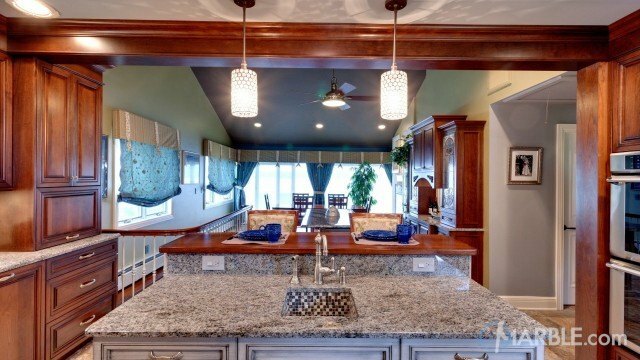 This beautiful kitchen and bar area is tied together by a magnificent flowing piece of Atlantis granite. 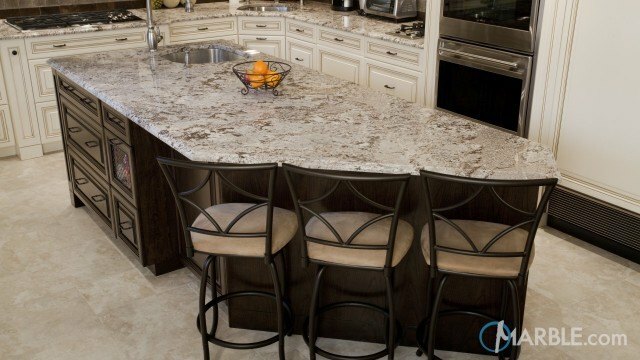 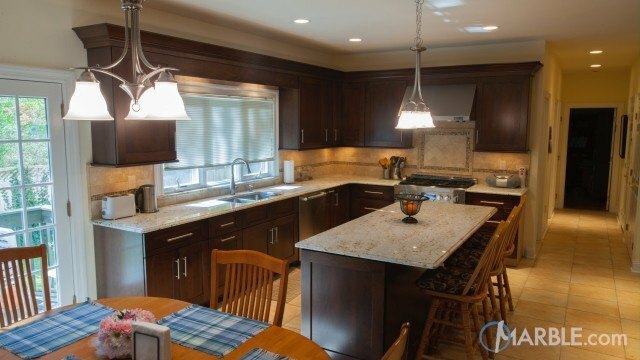 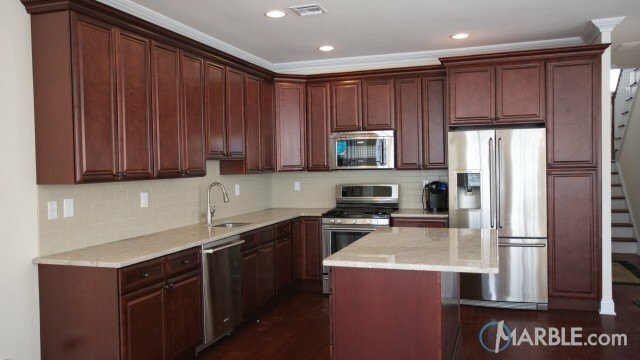 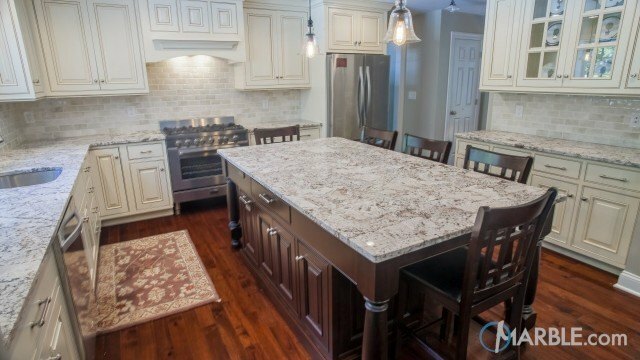 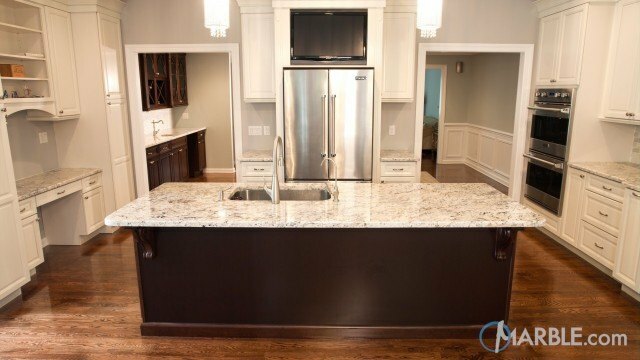 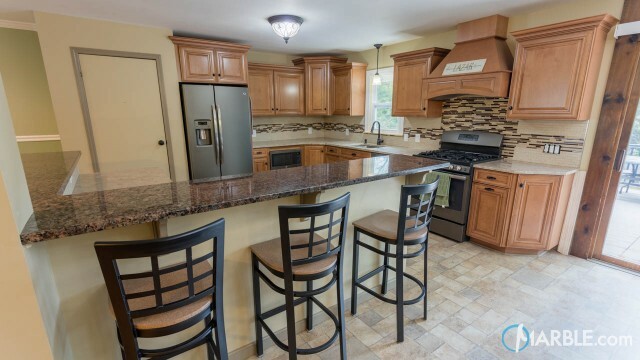 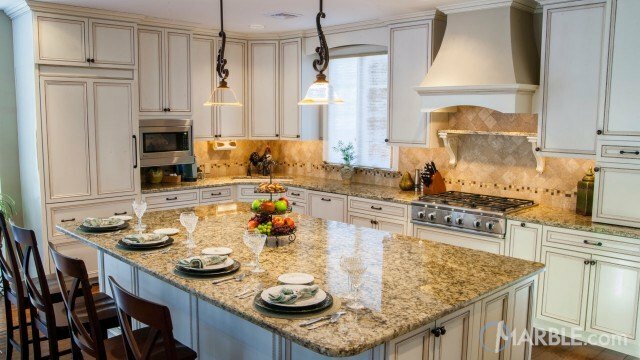 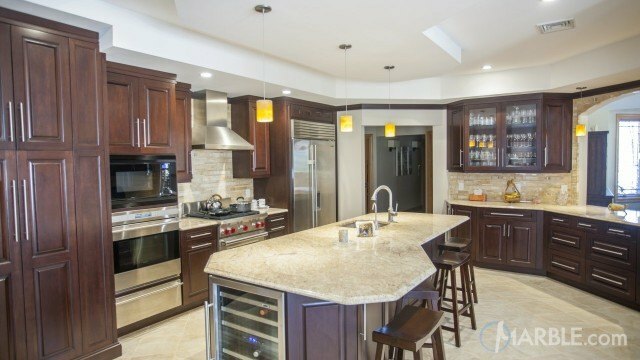 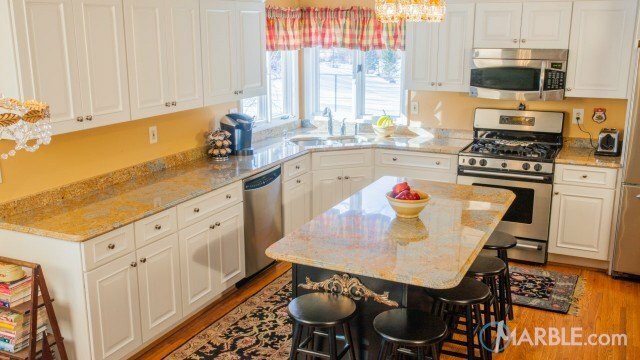 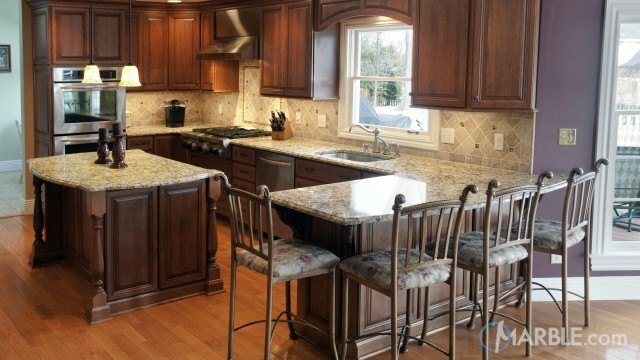 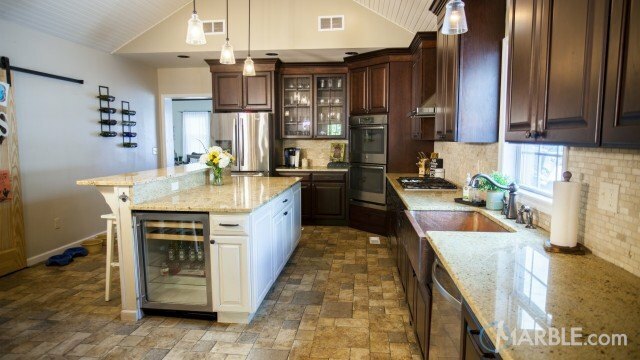 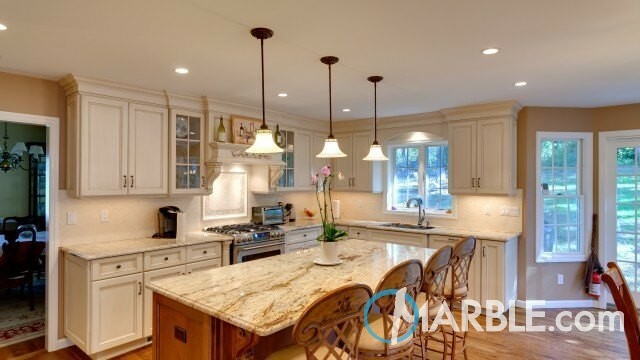 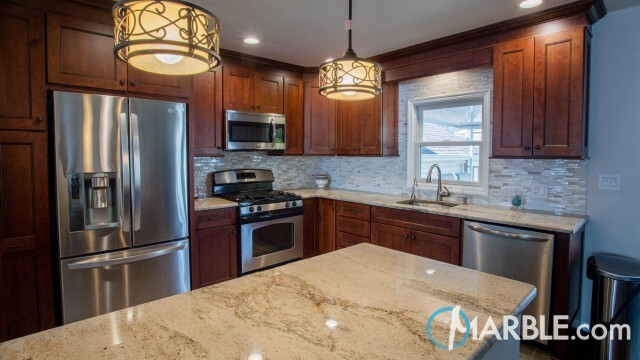 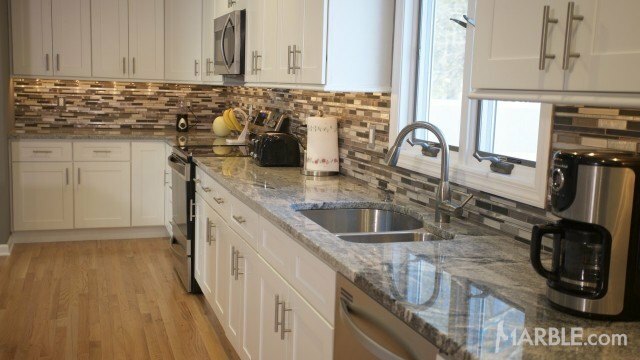 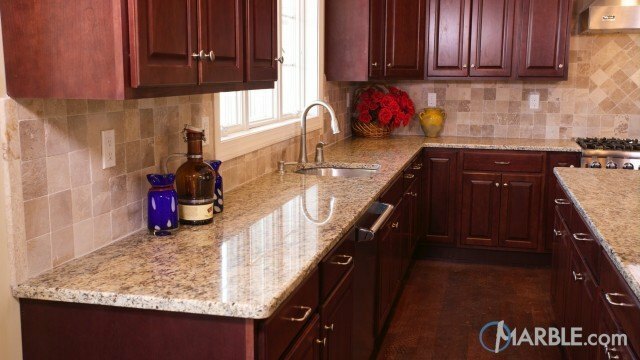 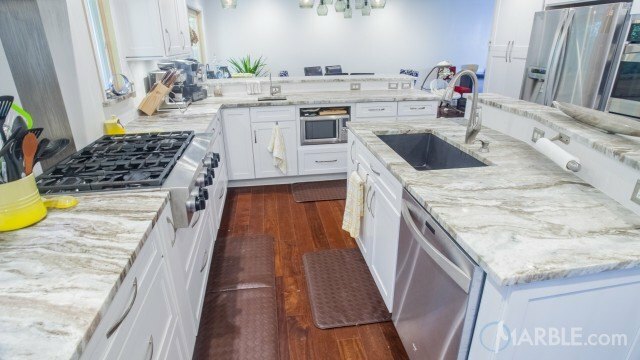 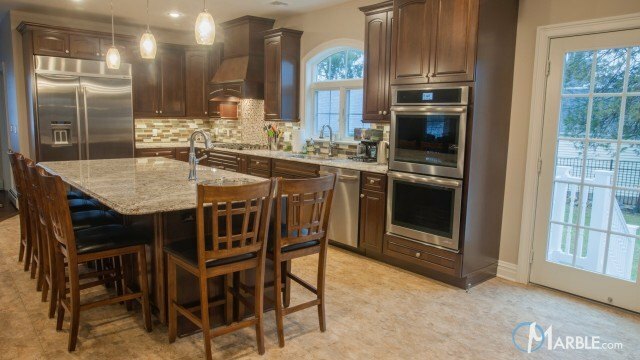 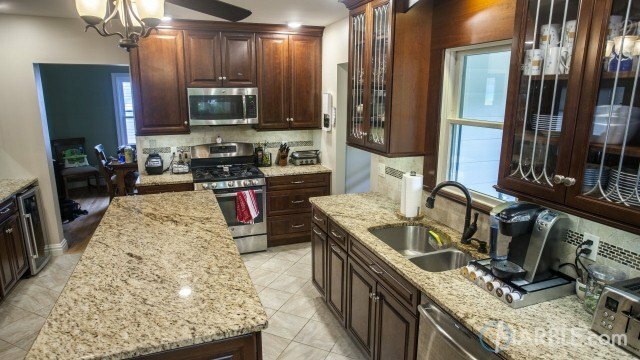 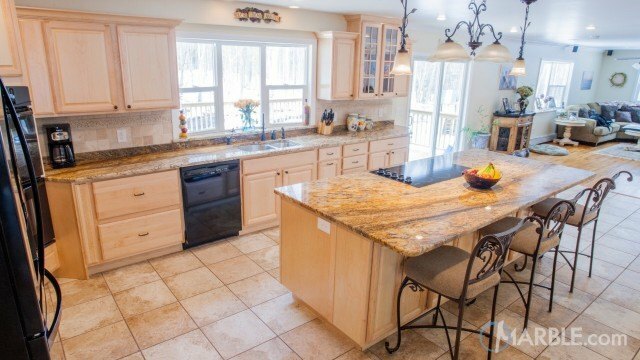 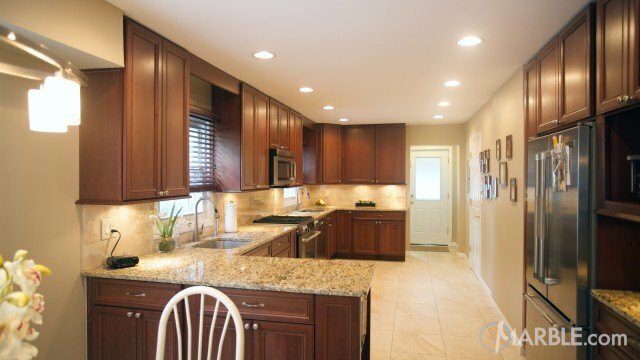 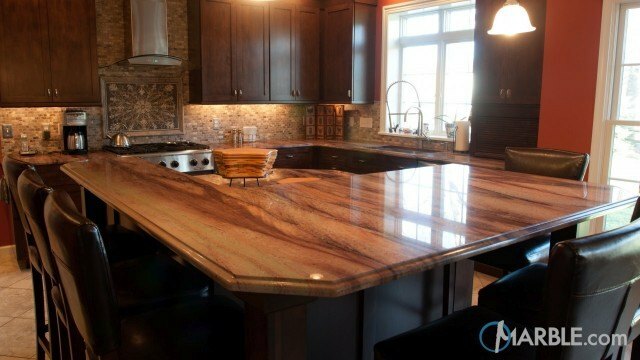 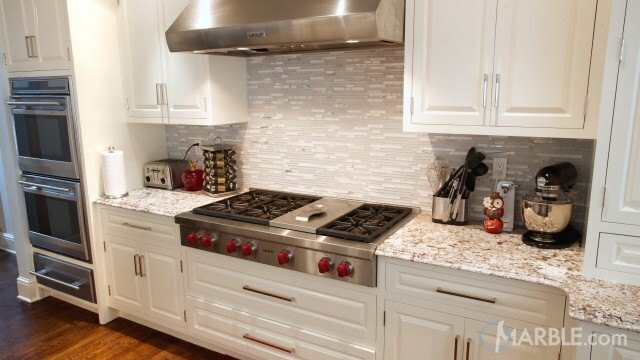 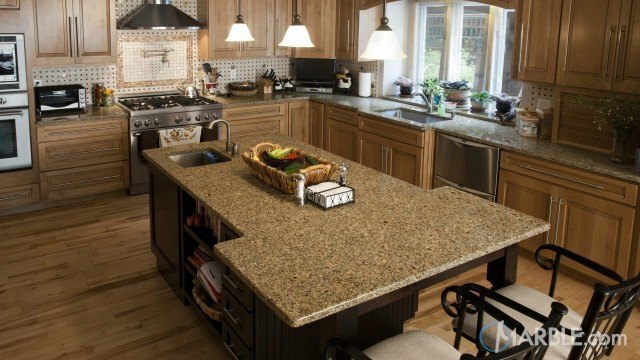 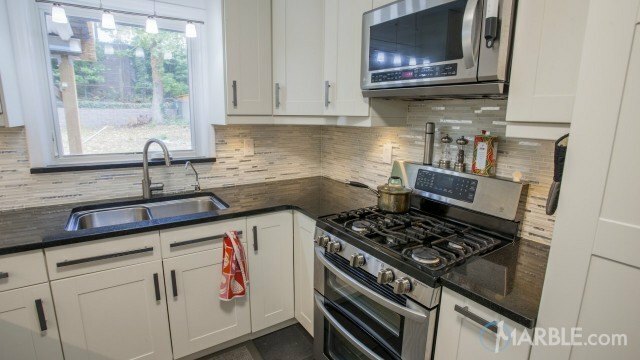 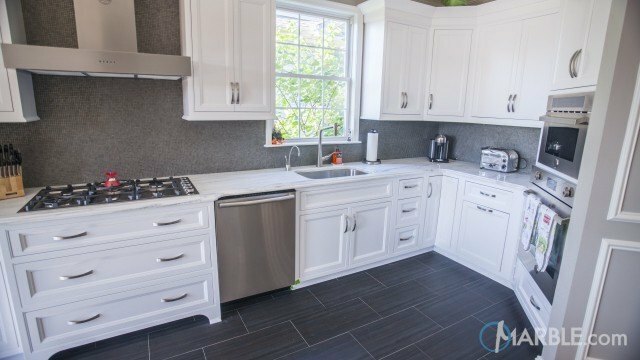 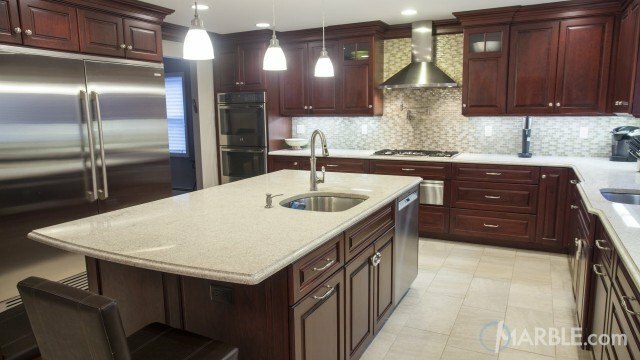 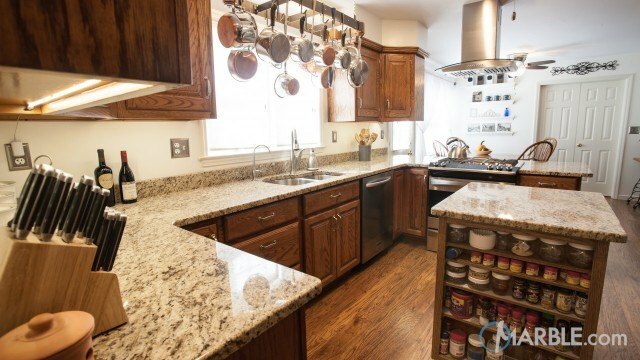 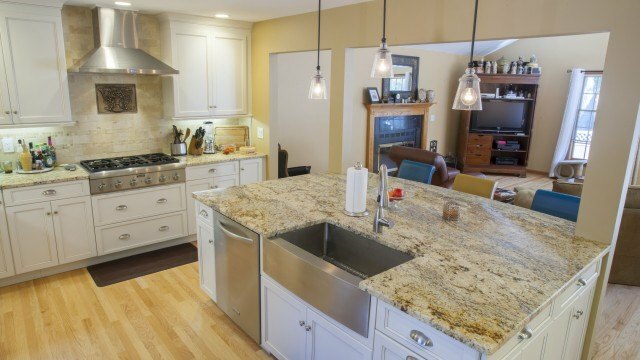 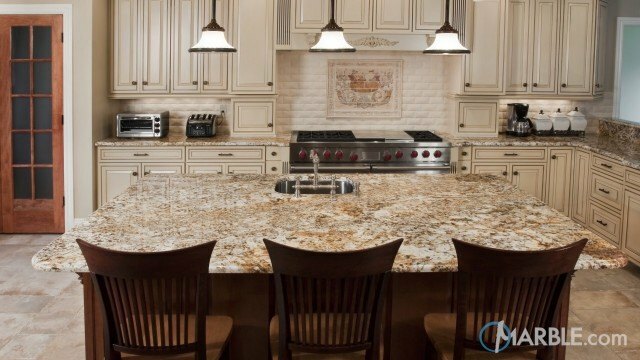 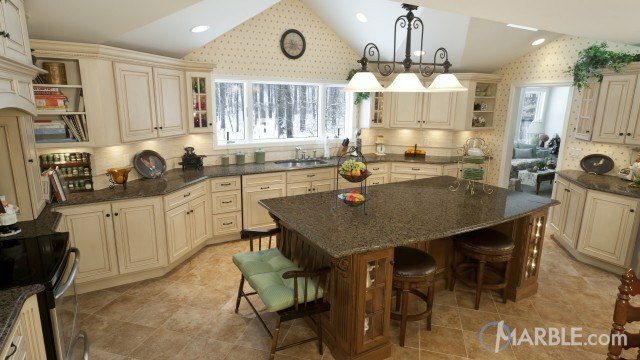 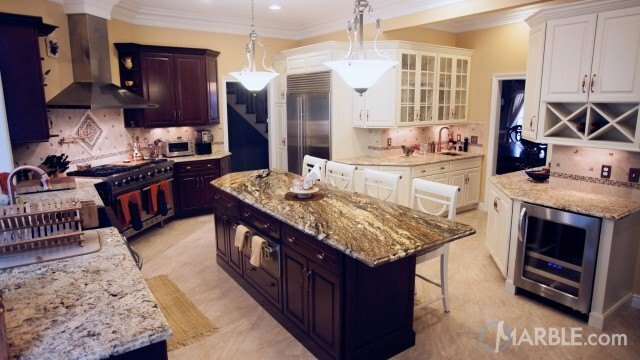 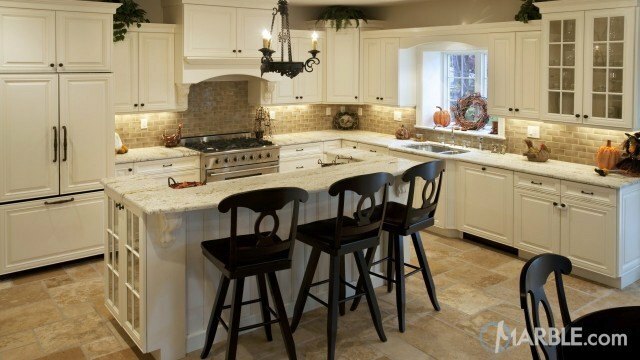 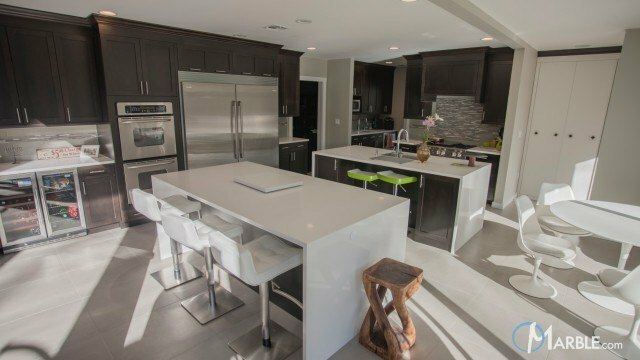 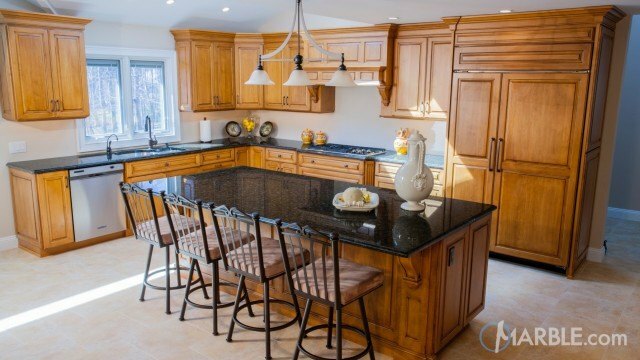 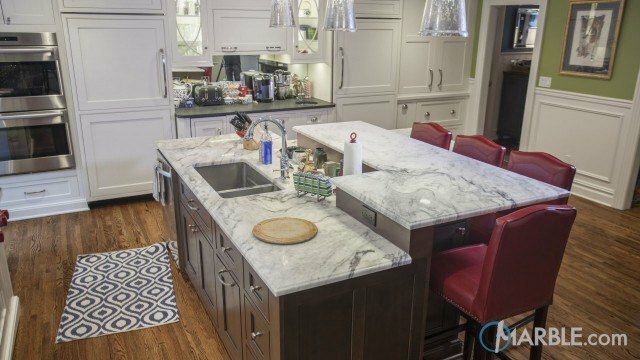 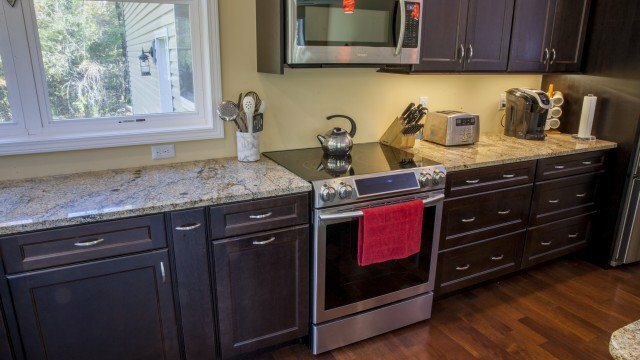 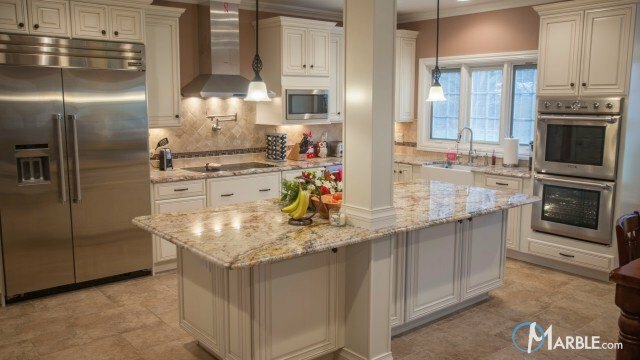 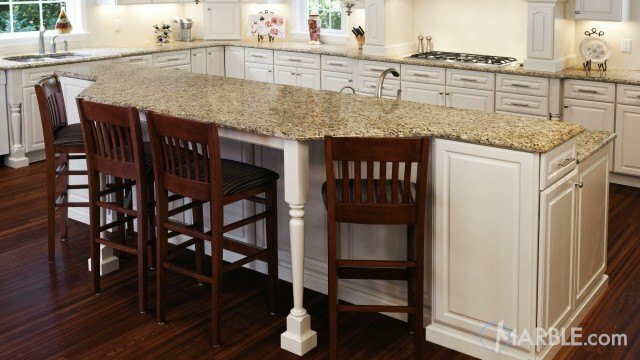 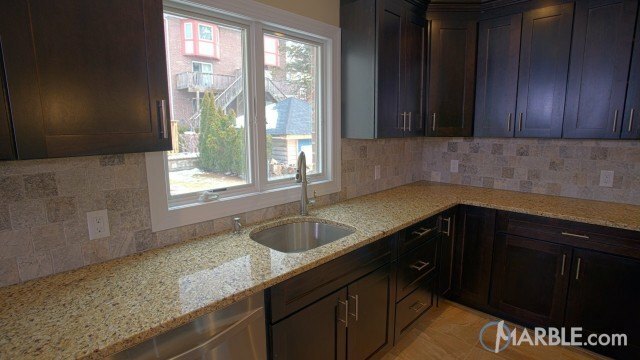 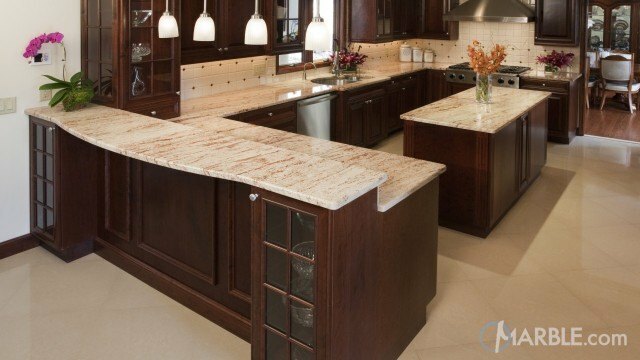 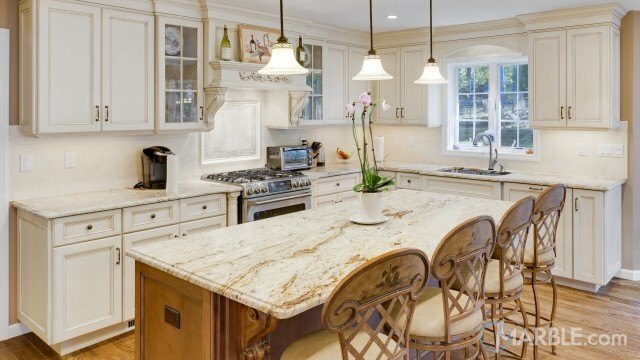 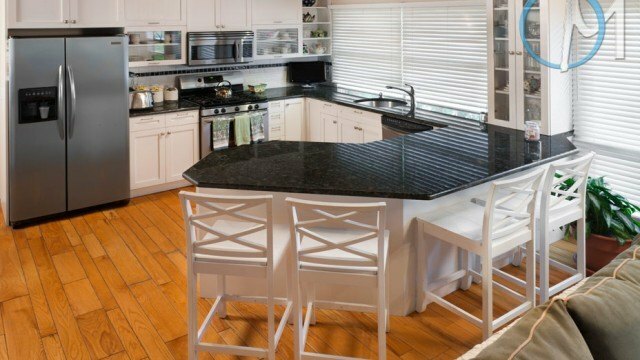 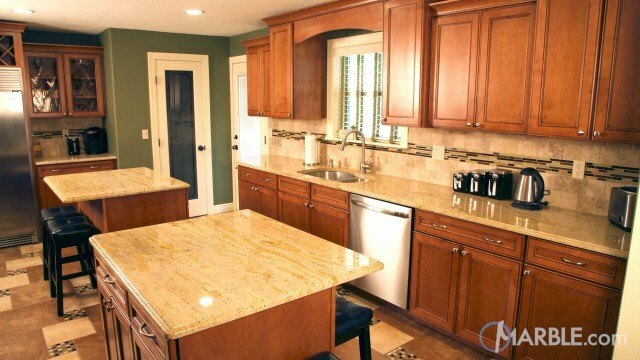 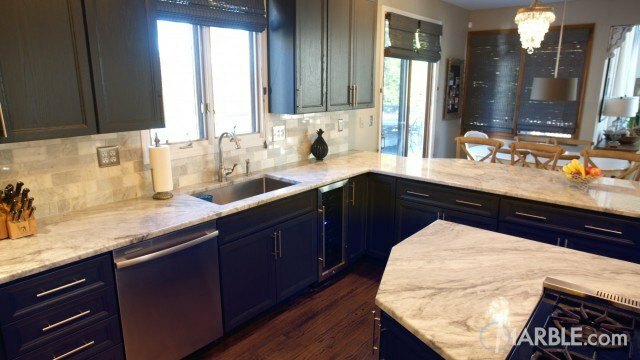 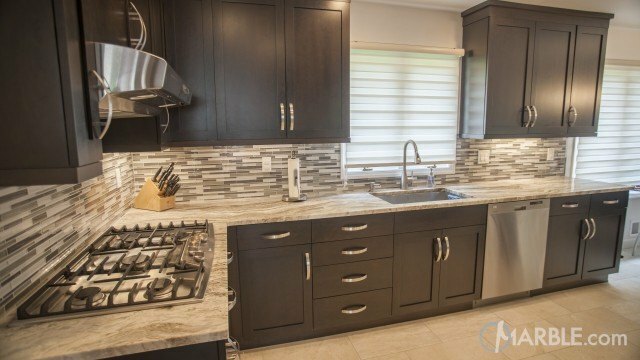 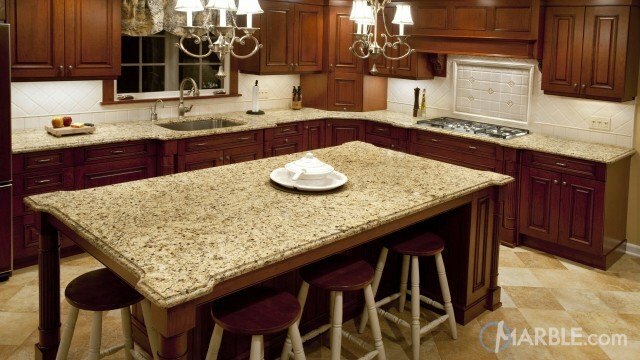 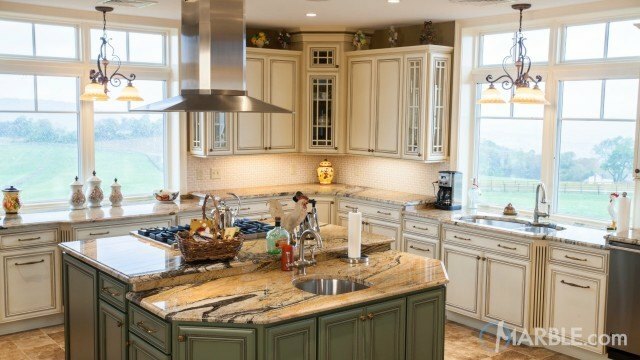 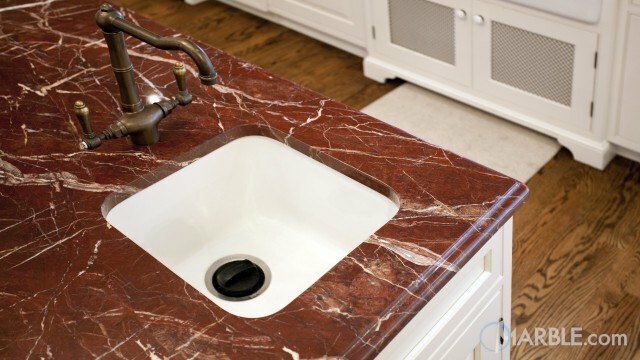 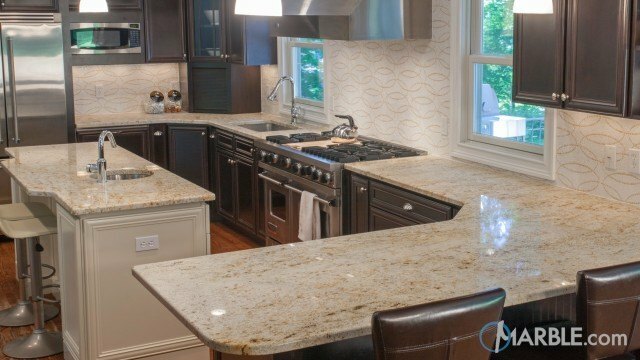 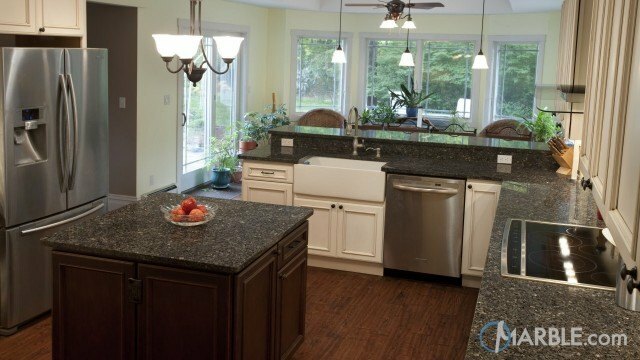 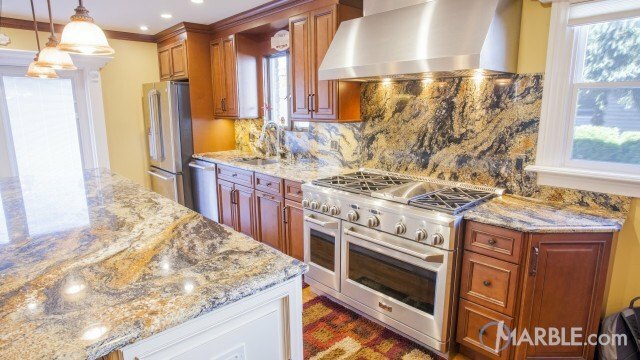 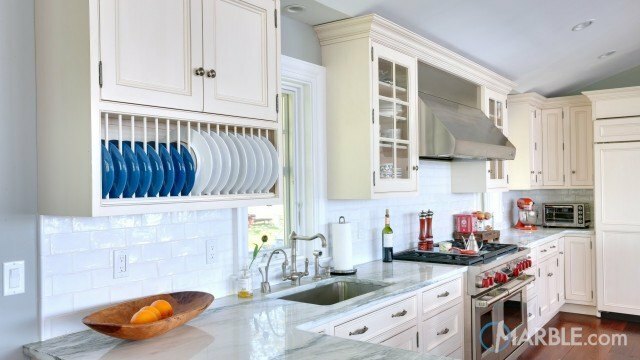 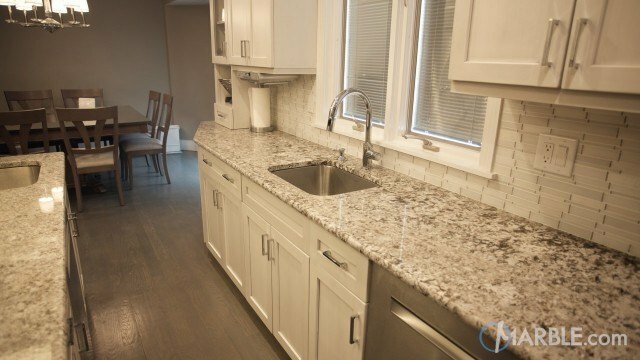 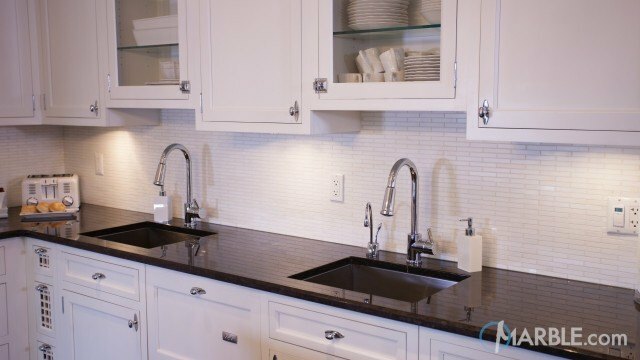 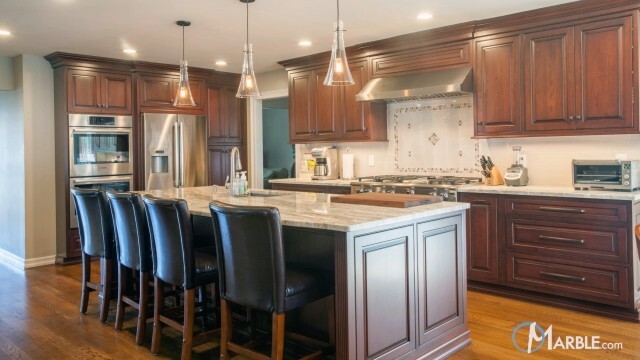 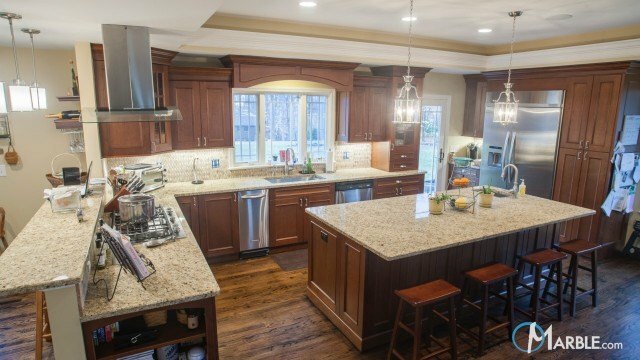 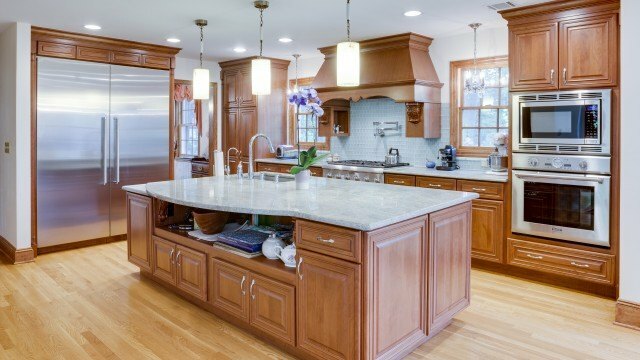 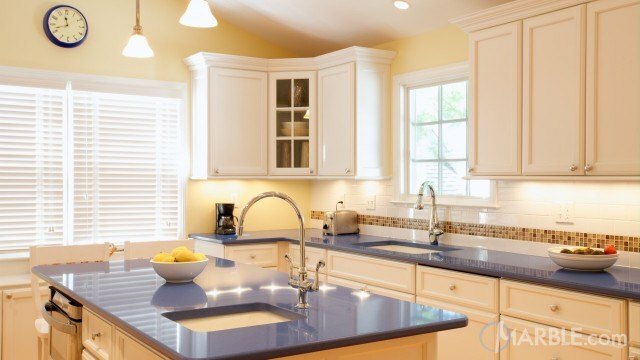 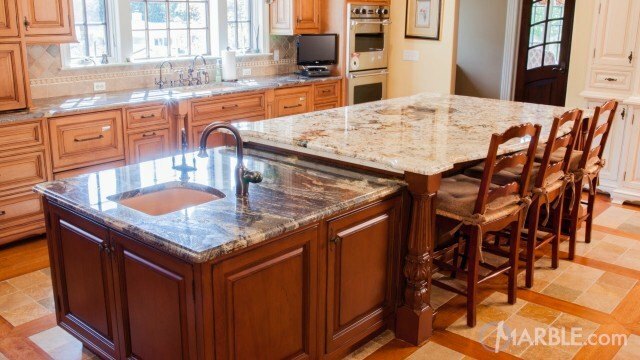 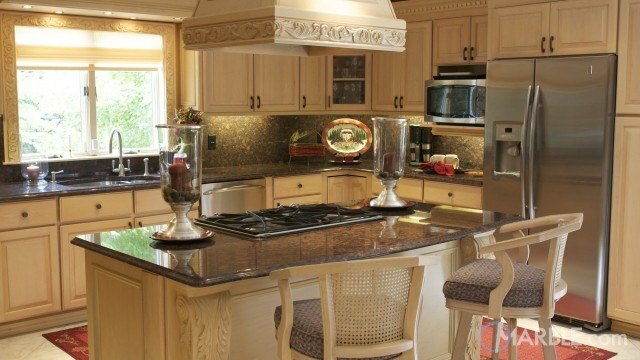 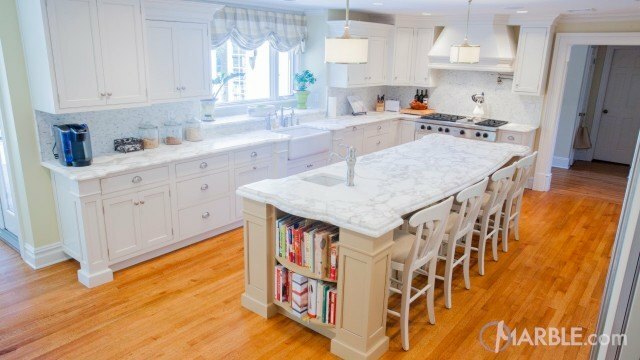 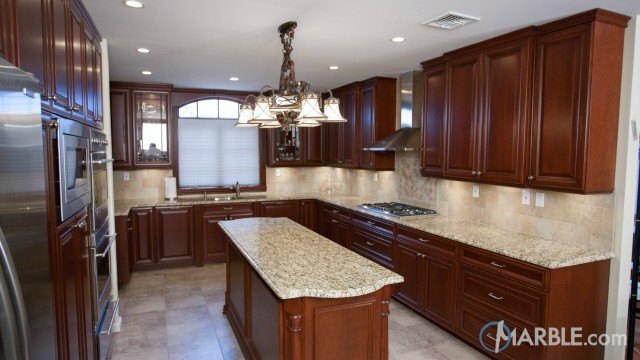 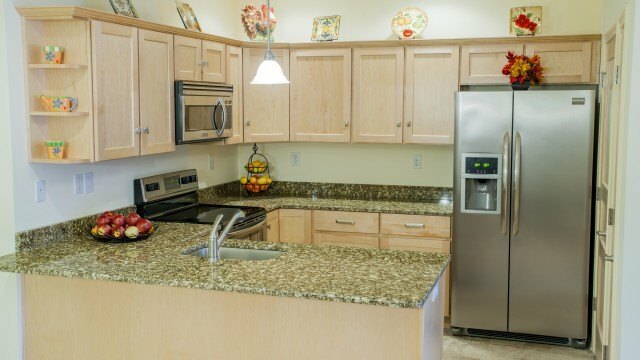 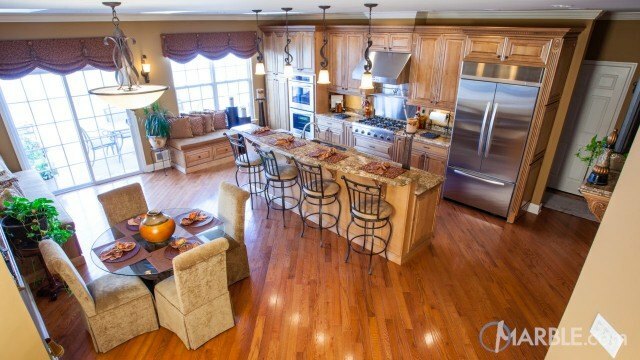 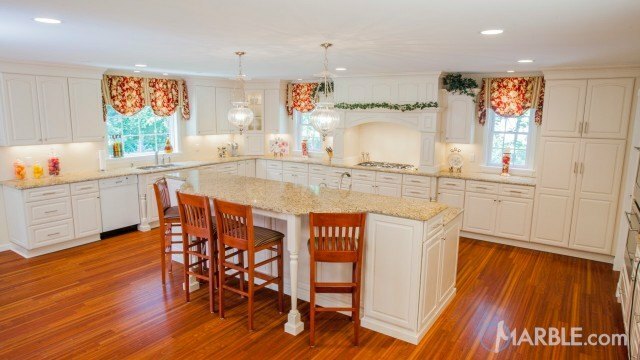 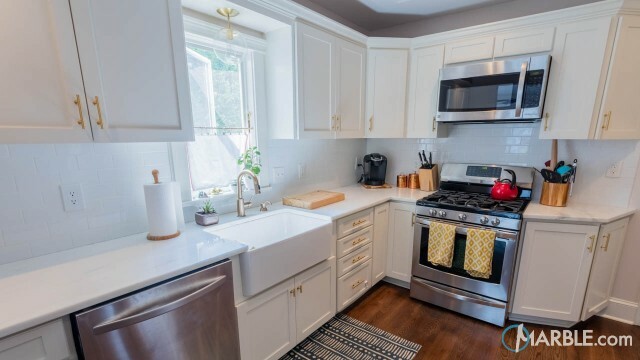 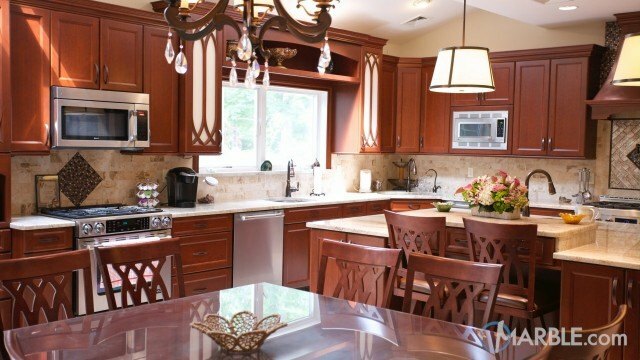 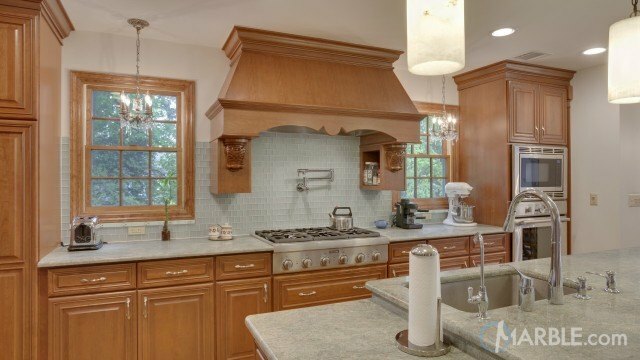 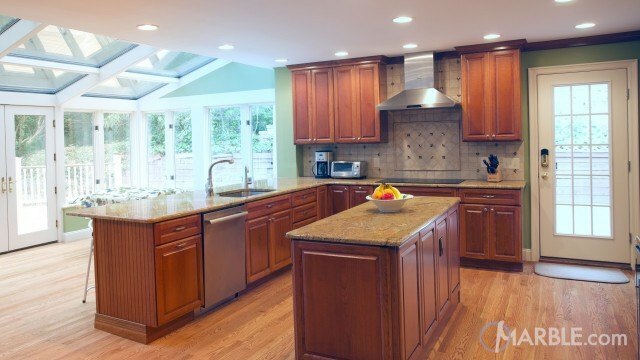 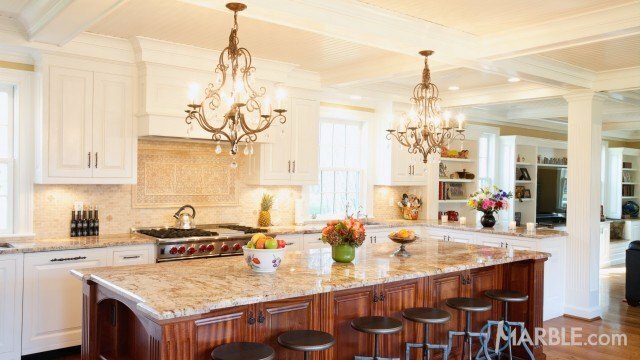 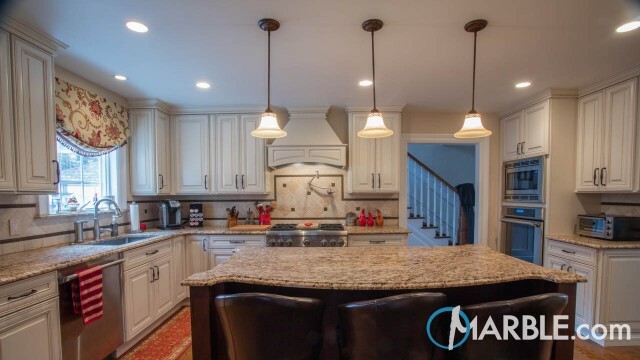 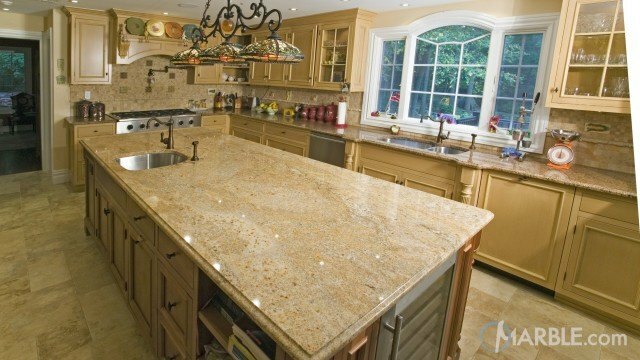 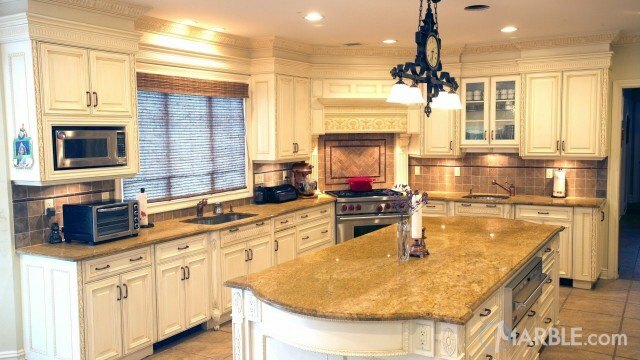 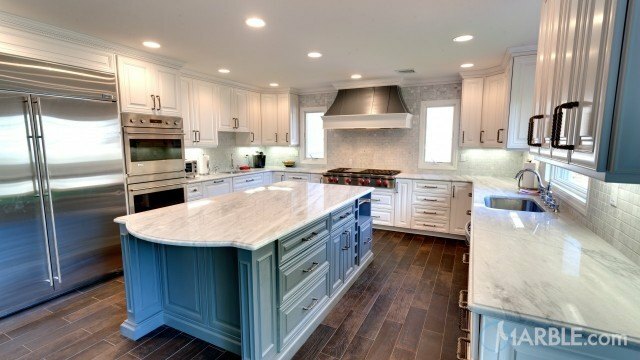 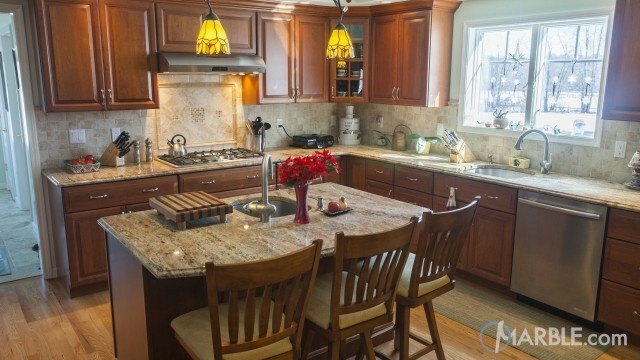 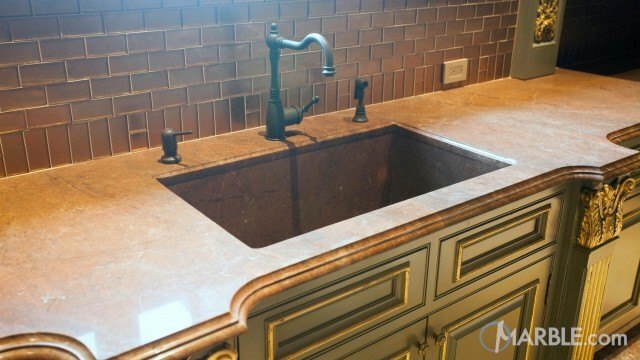 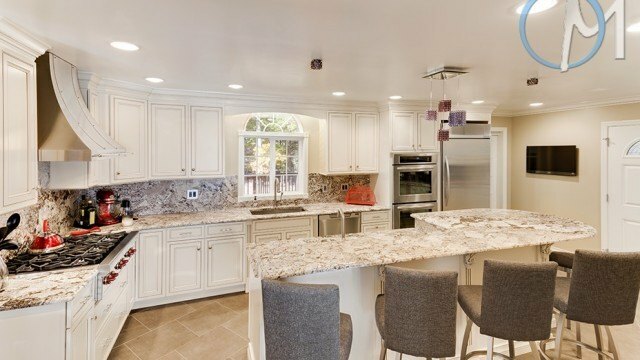 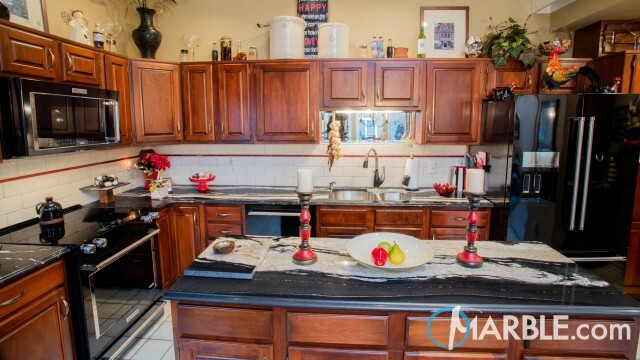 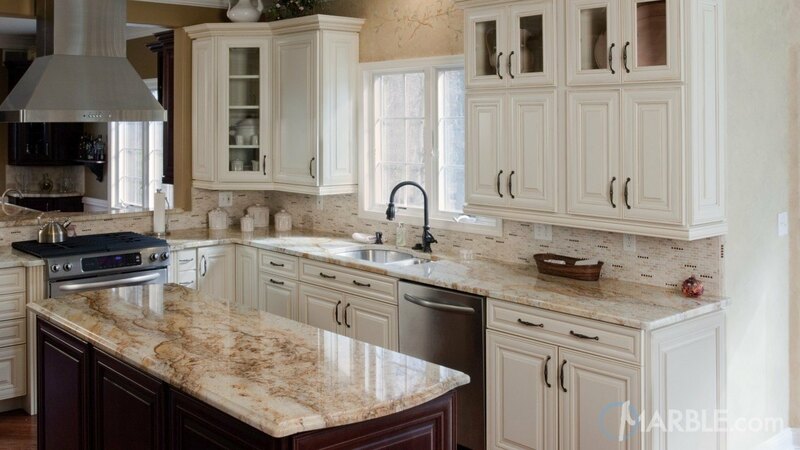 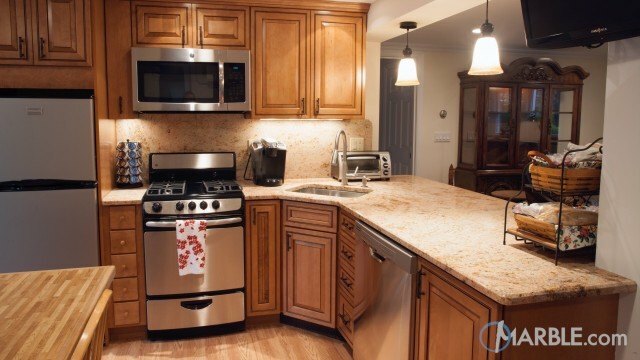 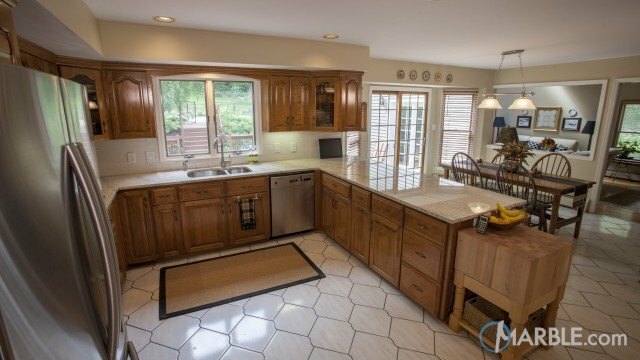 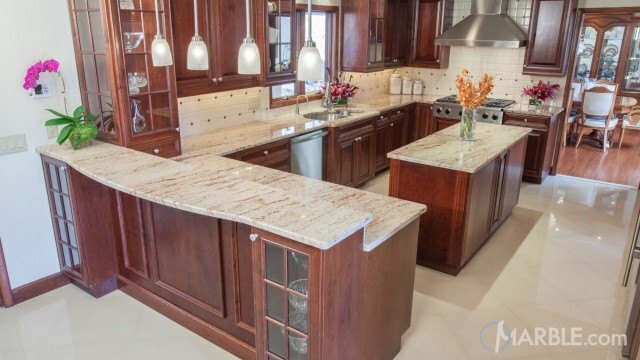 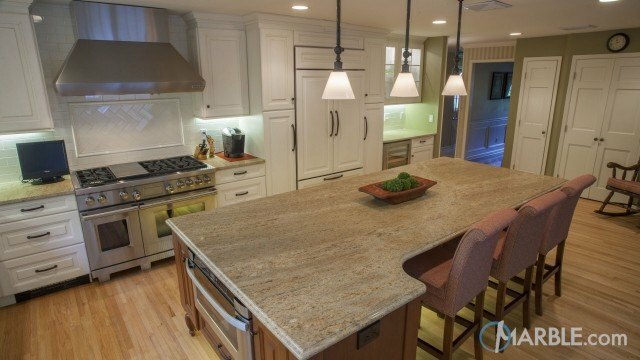 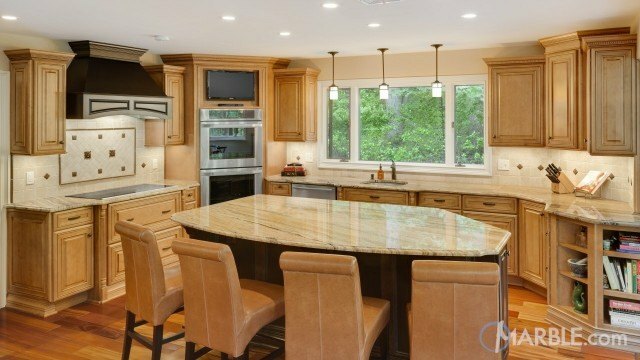 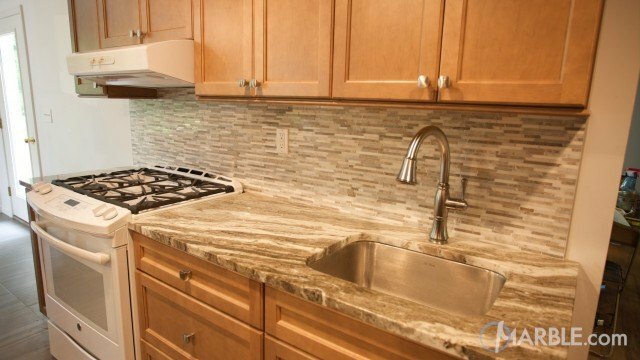 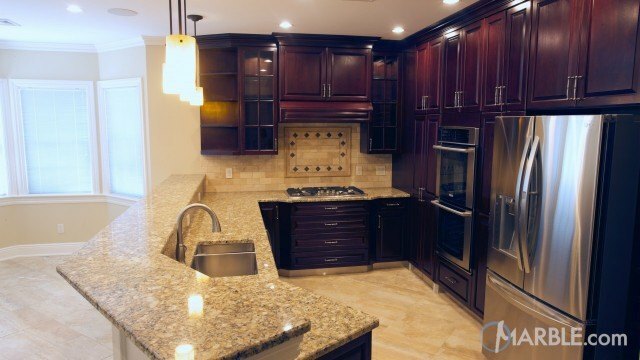 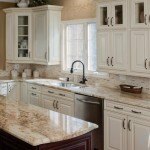 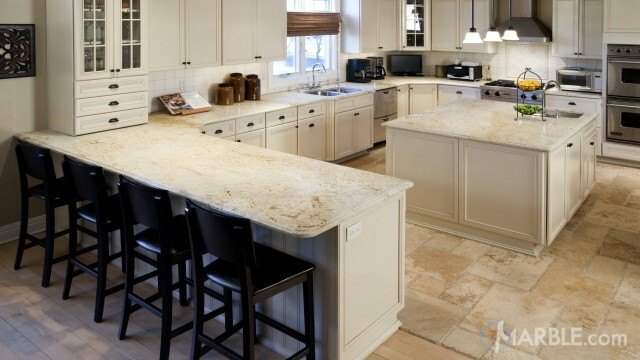 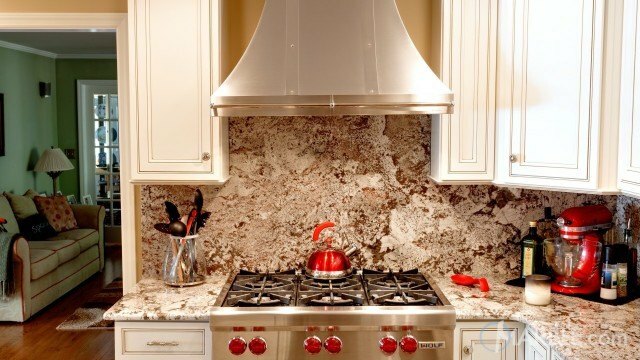 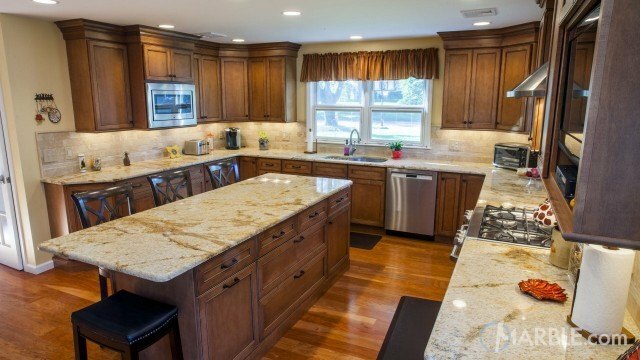 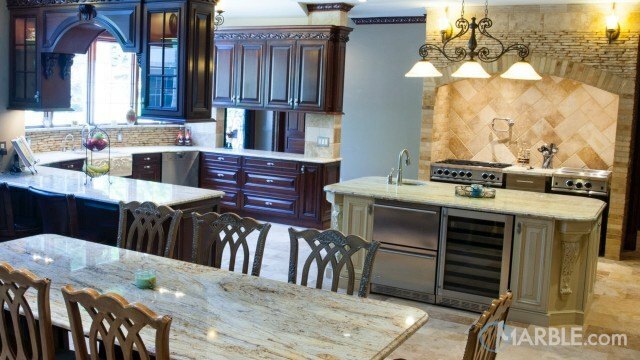 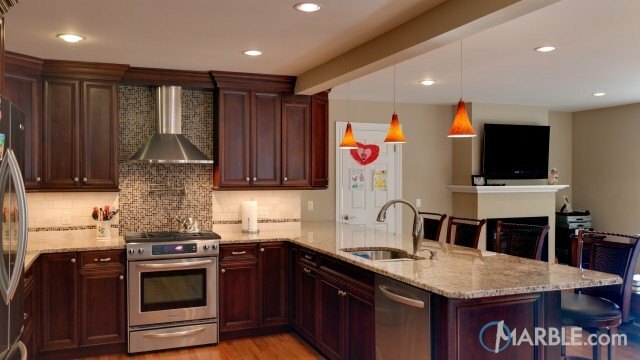 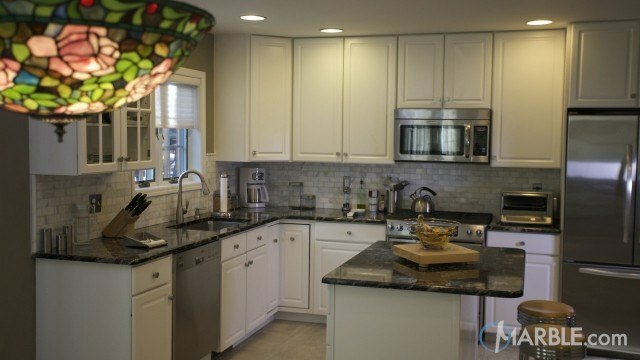 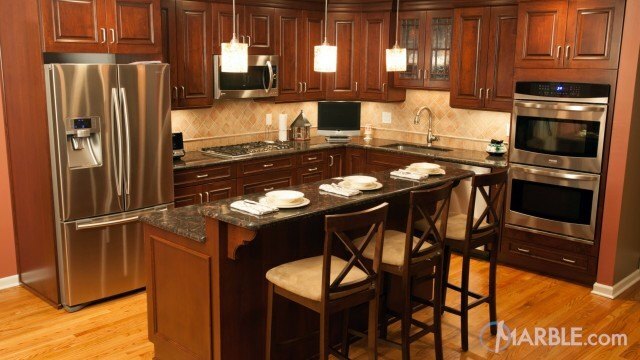 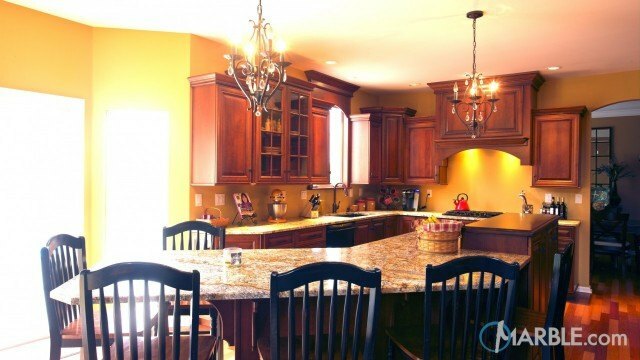 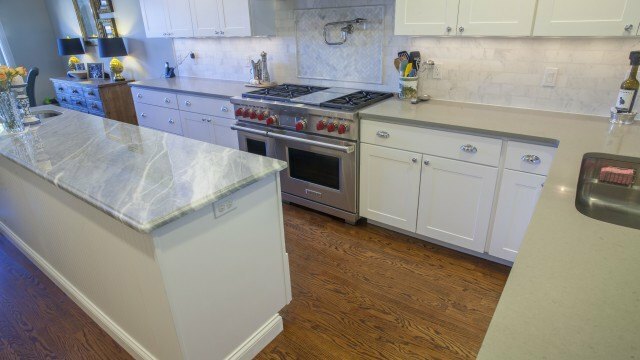 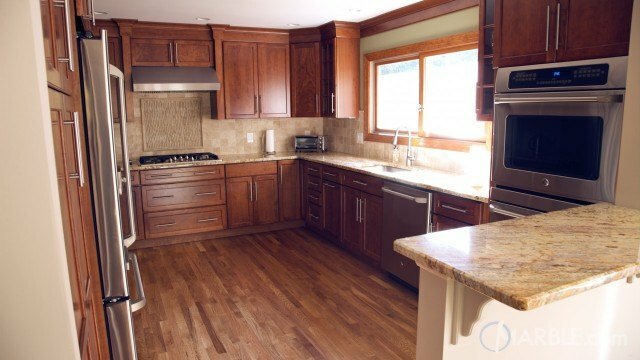 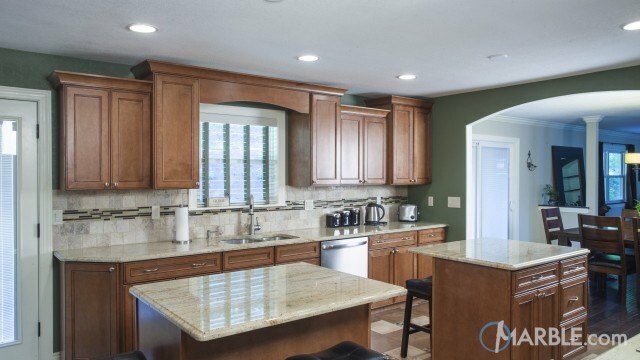 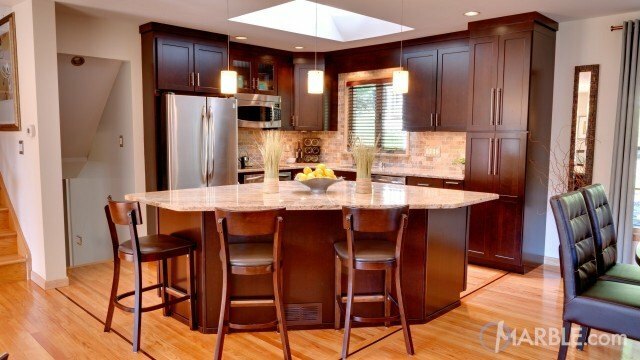 The beige and brown colors are complimented by cream and dark brown cabinets to create a unified look. 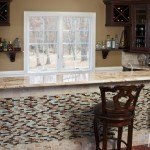 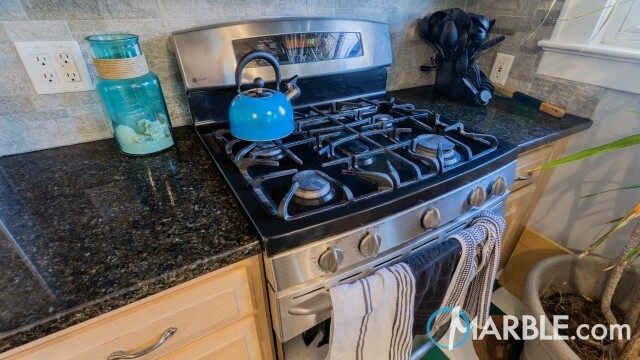 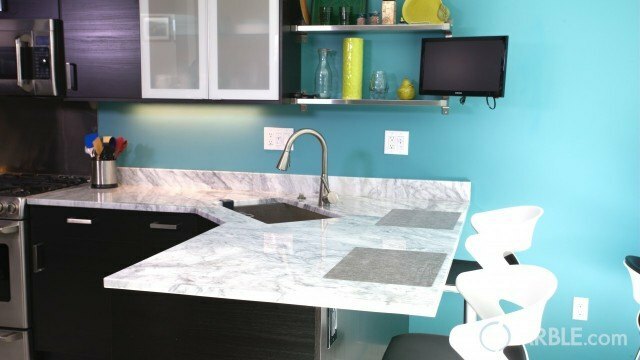 Aqua glass tiles add a pop of color and are a focal point of the room.